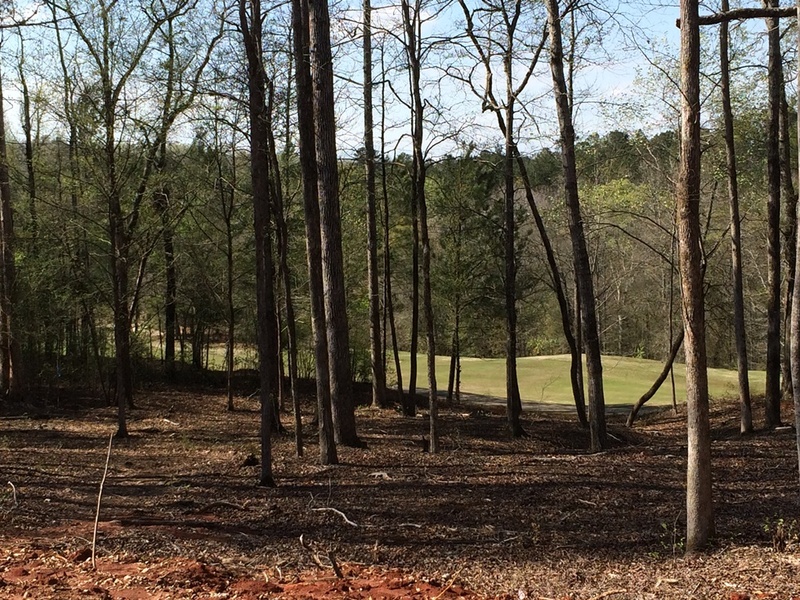 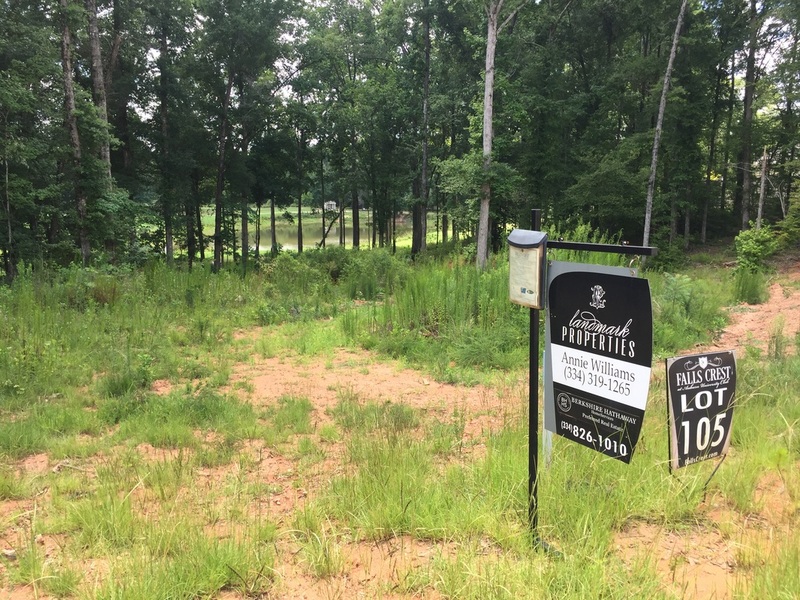 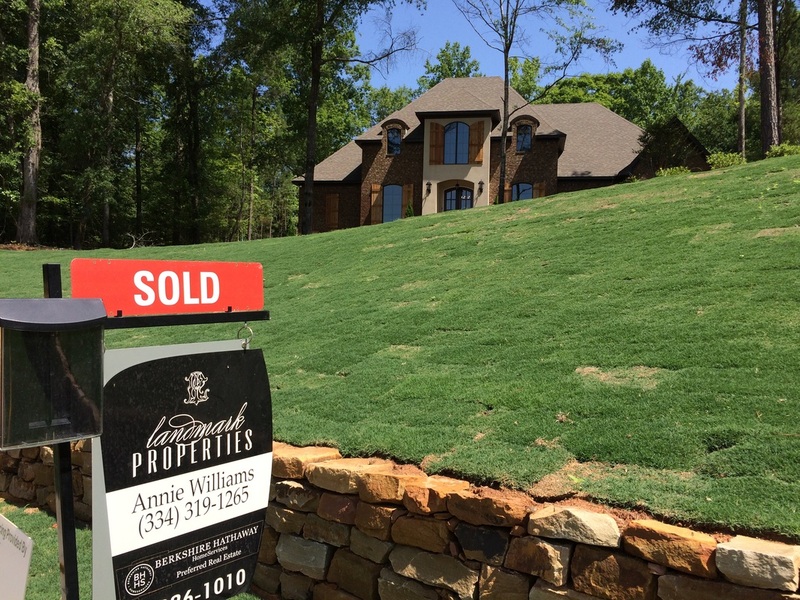 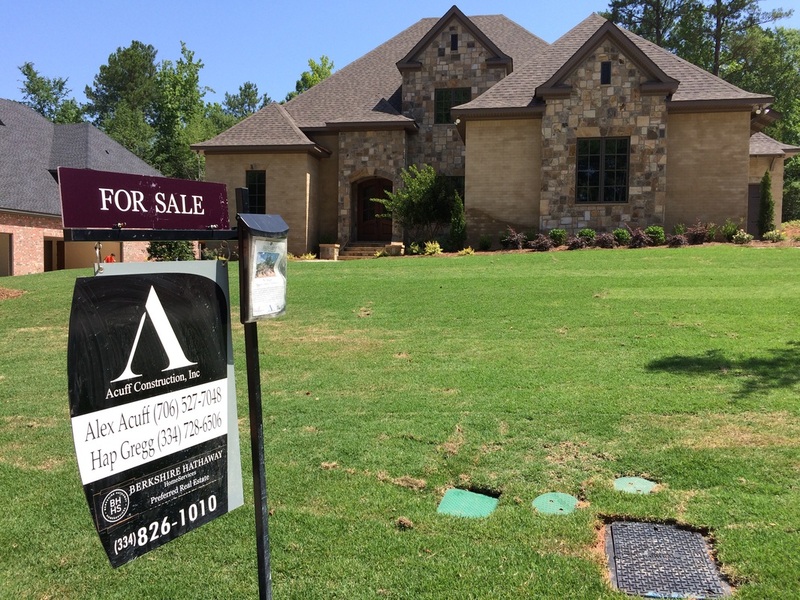 Only two lots remain in North Auburn's most popular golf course community. 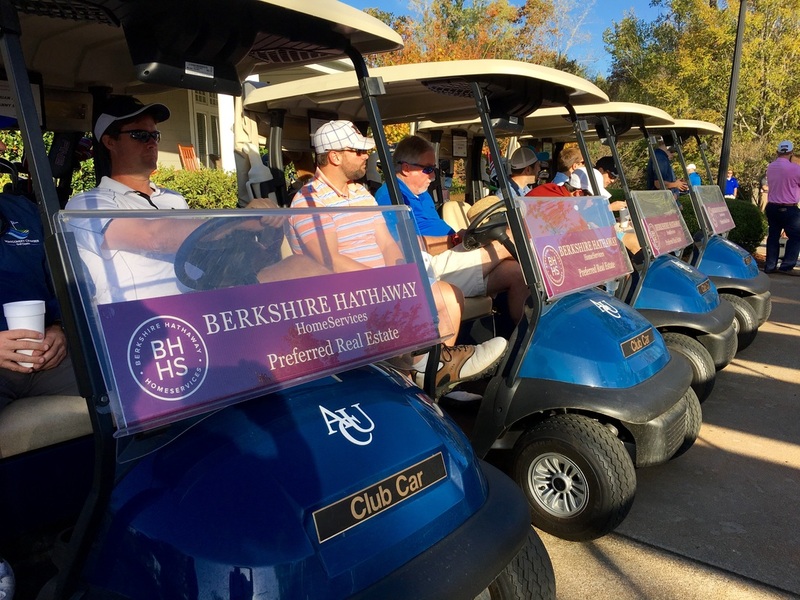 Get in touch with Berkshire Hathaway HomeServices Preferred Real Estate to reserve your lot in time for Spring activities at The Auburn University Golf Club. The award-winning agents and support staff of Lee County's Largest Locally Owned and Independently Operated real estate company were back on the fairway giving golfers the chance to win a $400,000 house at the Auburn Chamber of Commerce’s Annual Golf Classic at the Auburn University Club. 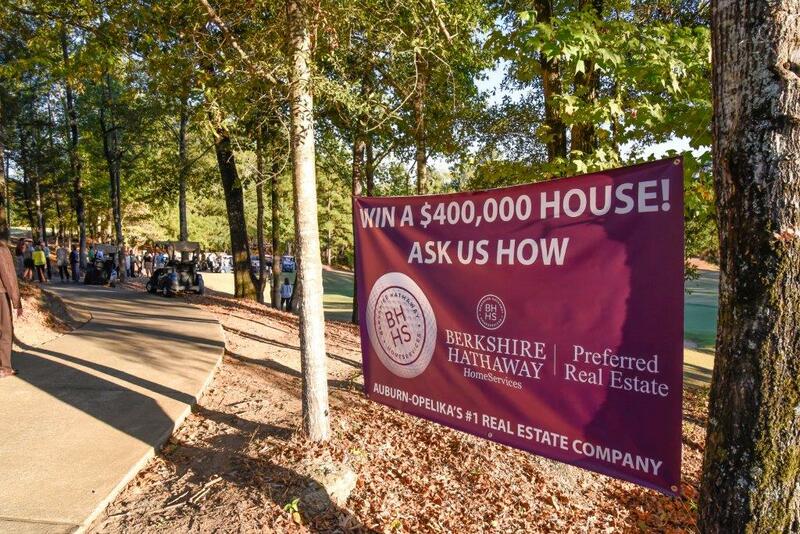 With Berkshire Hathaway’s continued investment in the local business community as a “Visionary Partner” of the Auburn Chamber, registered golfers again had the opportunity to shoot for a $400,000 house. 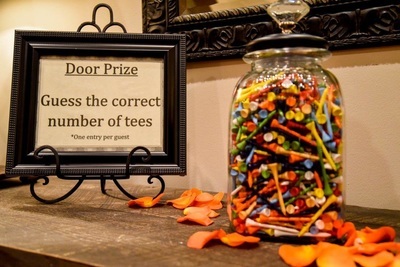 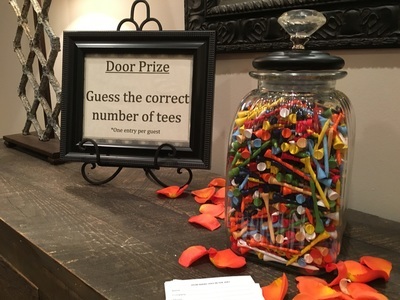 To add an exciting twist to the Chamber tournament, qualifiers for the hole-in-one contest returned to the AU Club the next Tuesday for Business After Hours to take their best shot to win a new home. 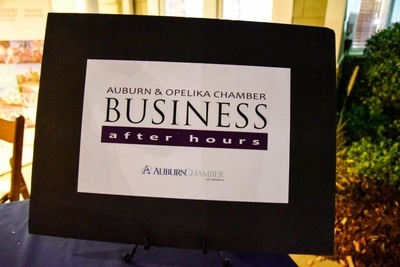 And what a Business After Hours it was! 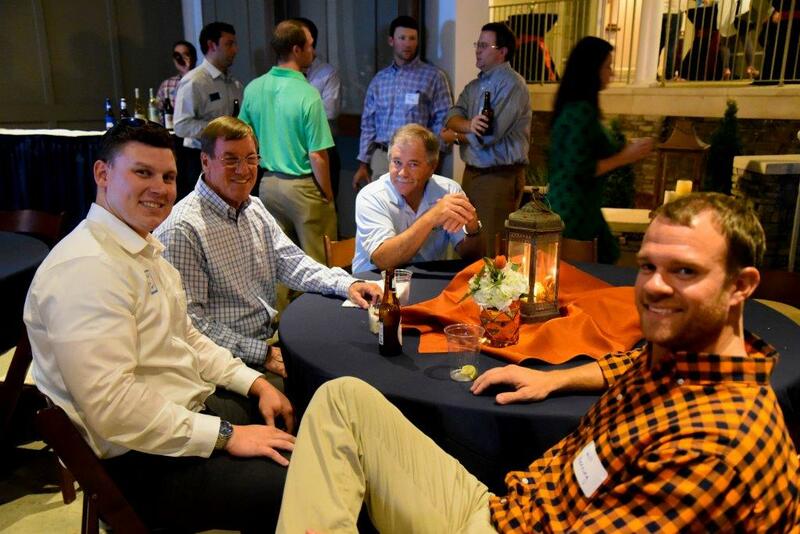 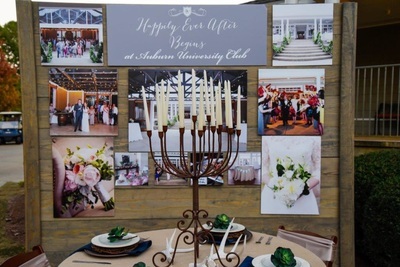 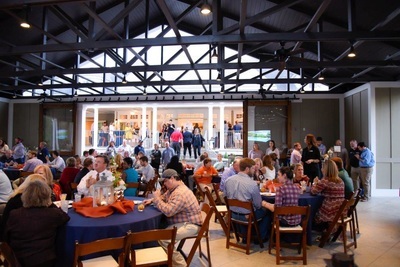 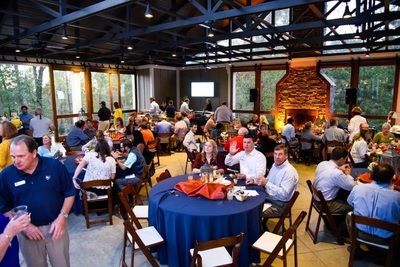 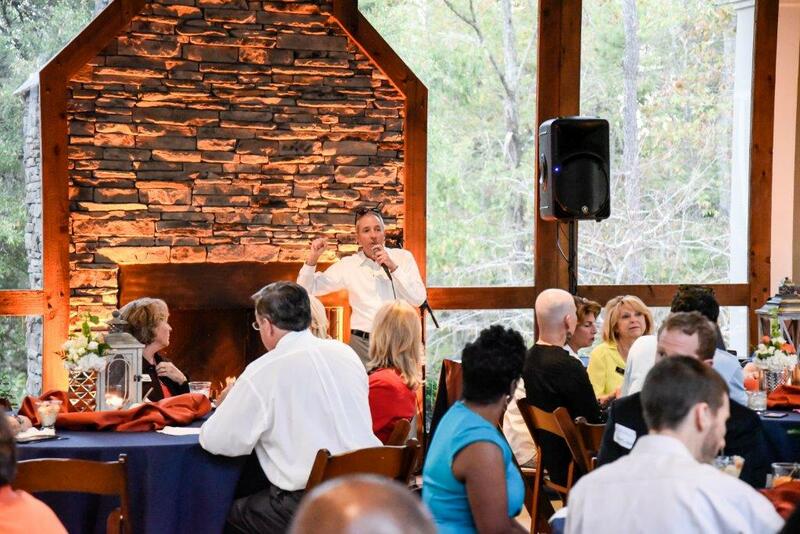 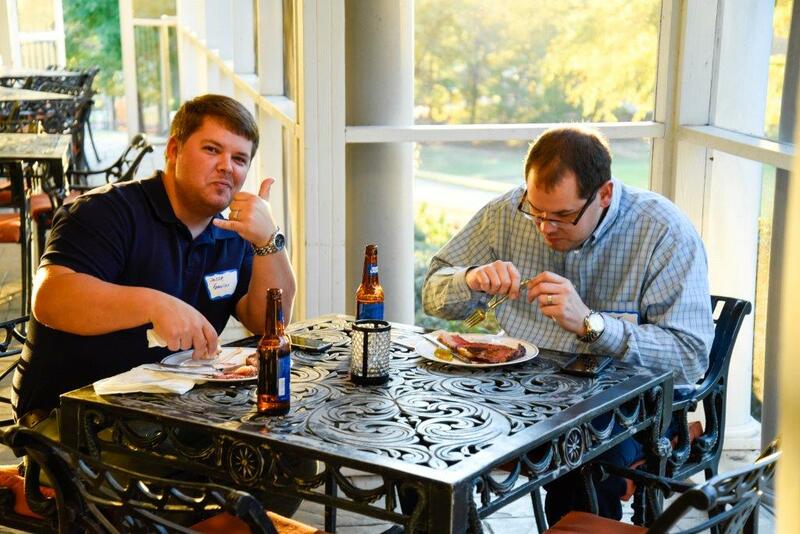 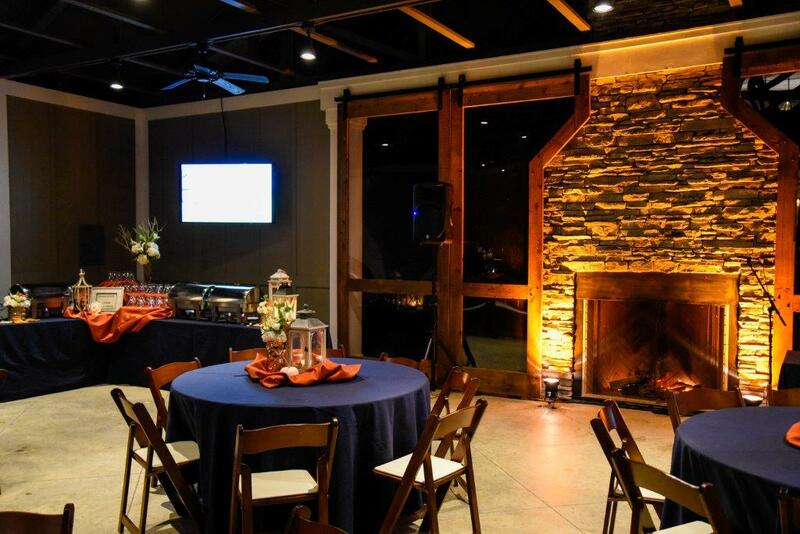 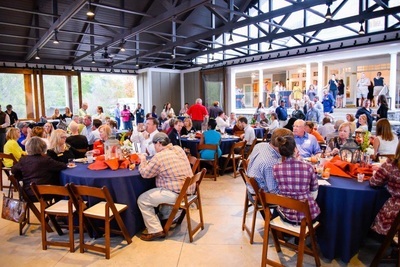 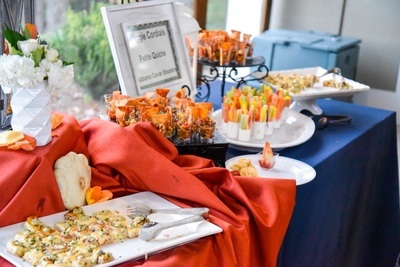 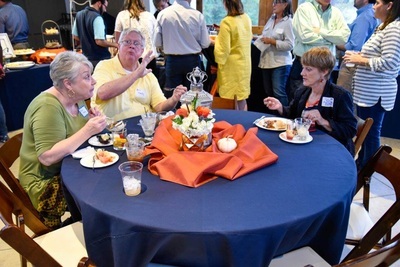 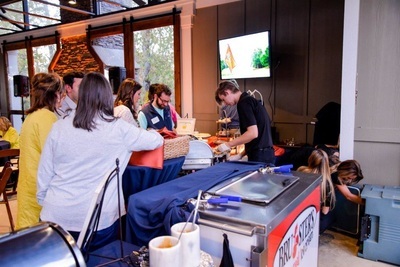 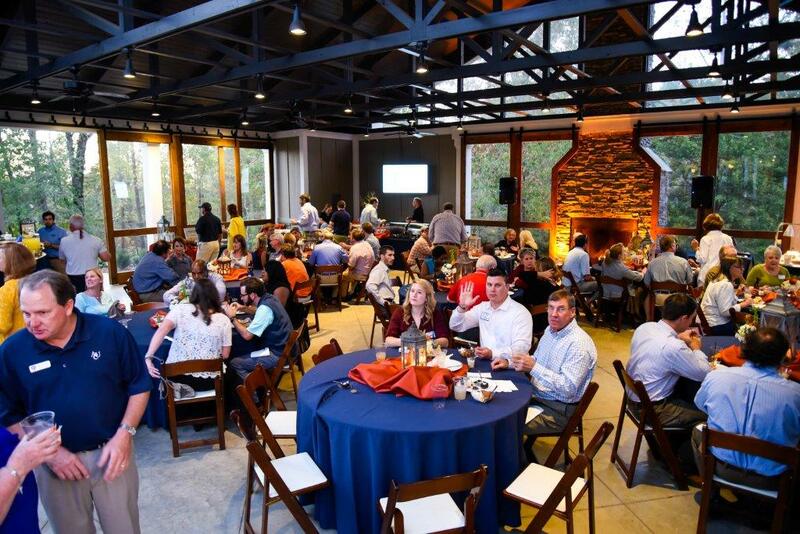 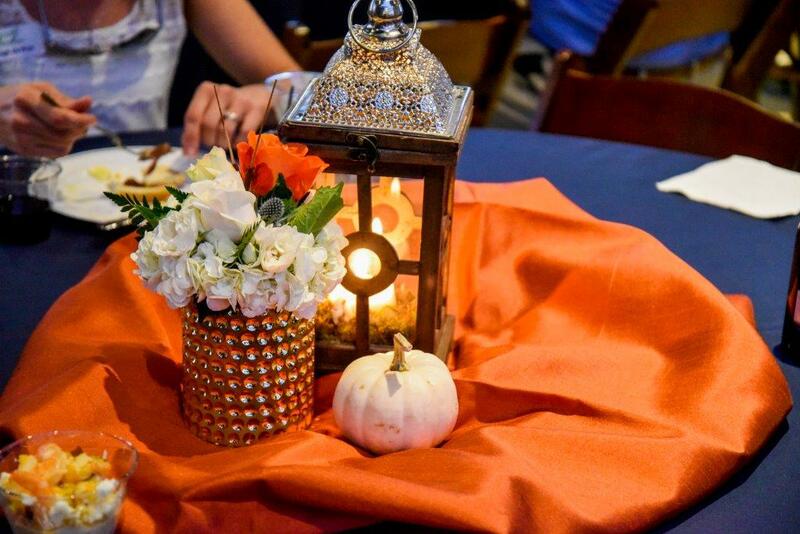 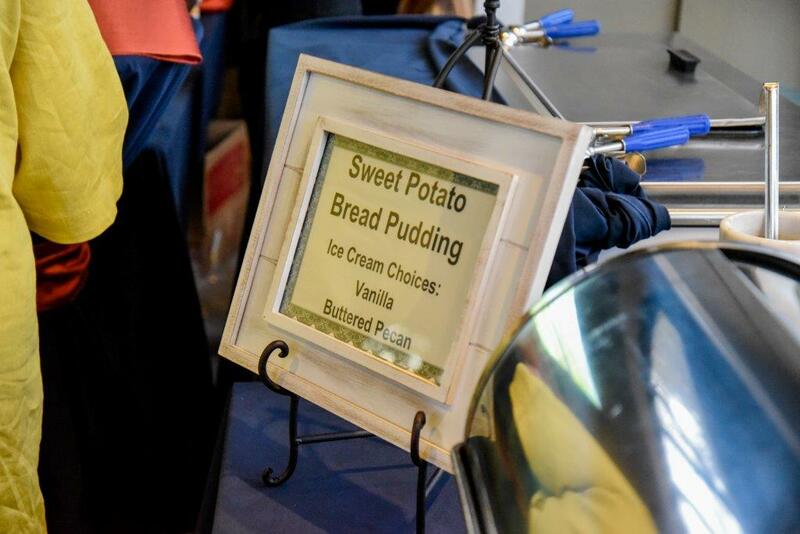 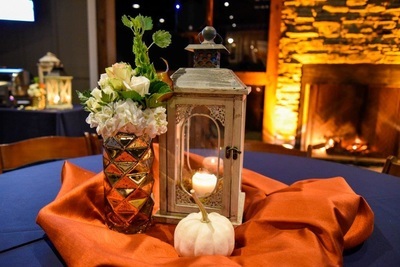 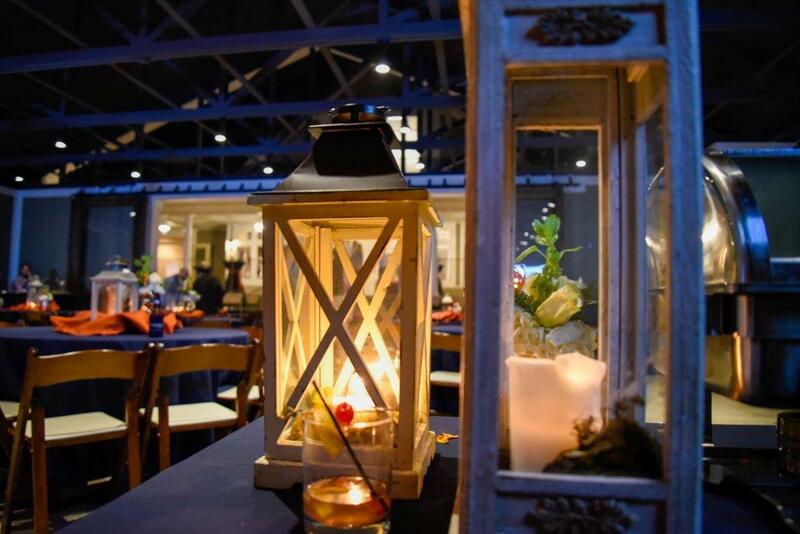 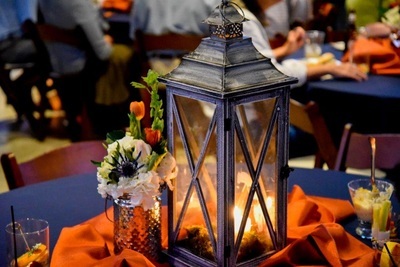 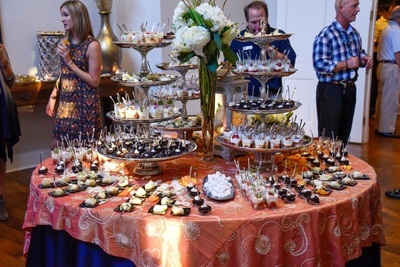 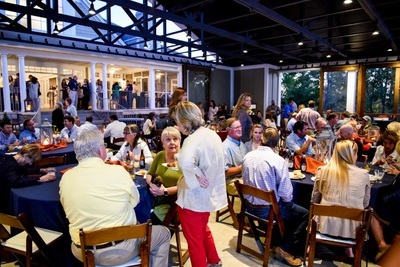 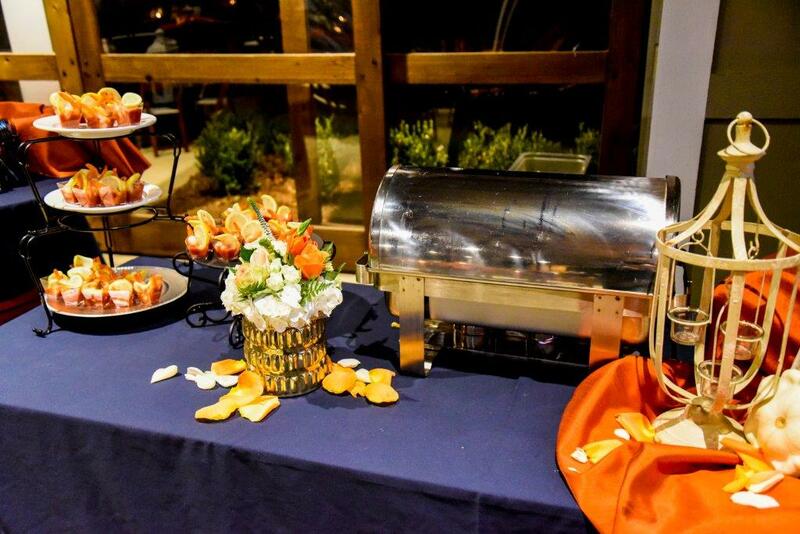 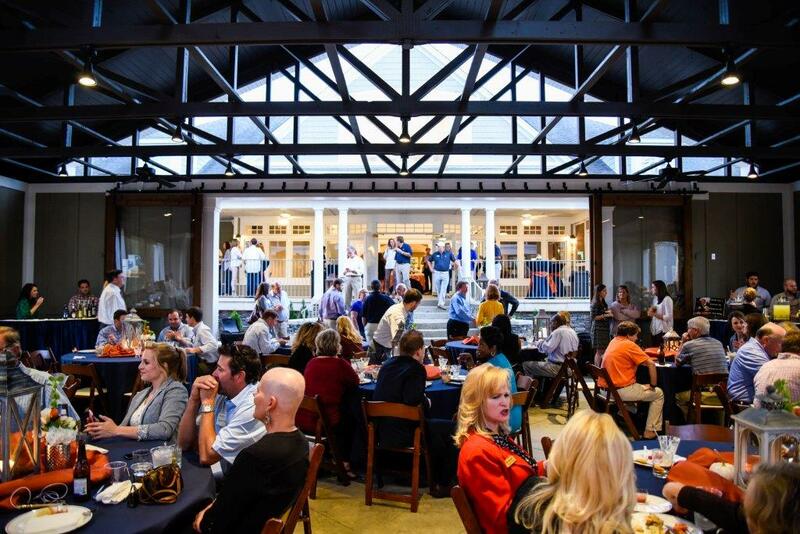 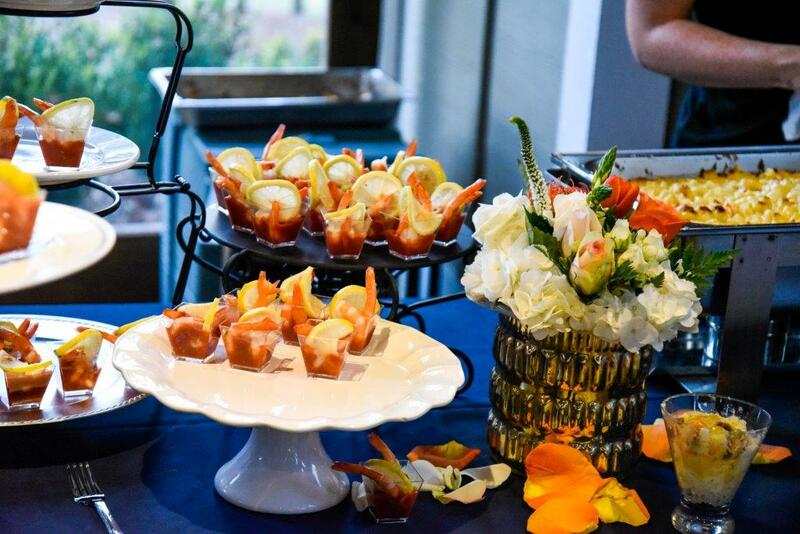 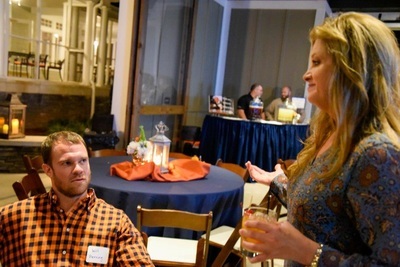 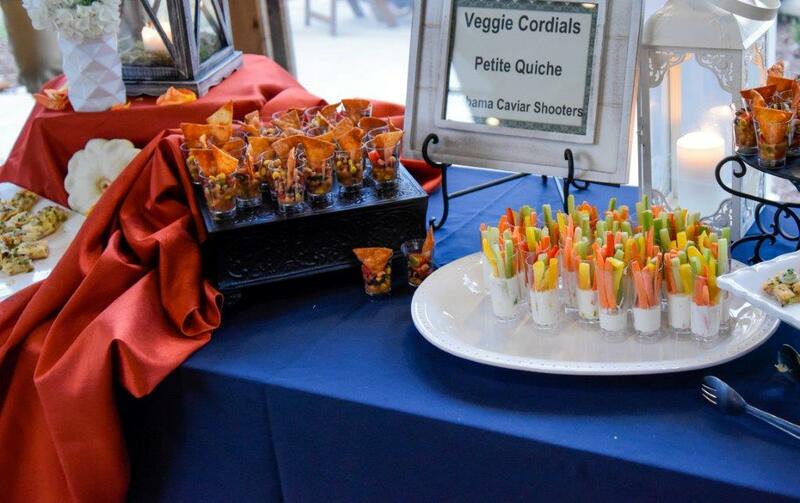 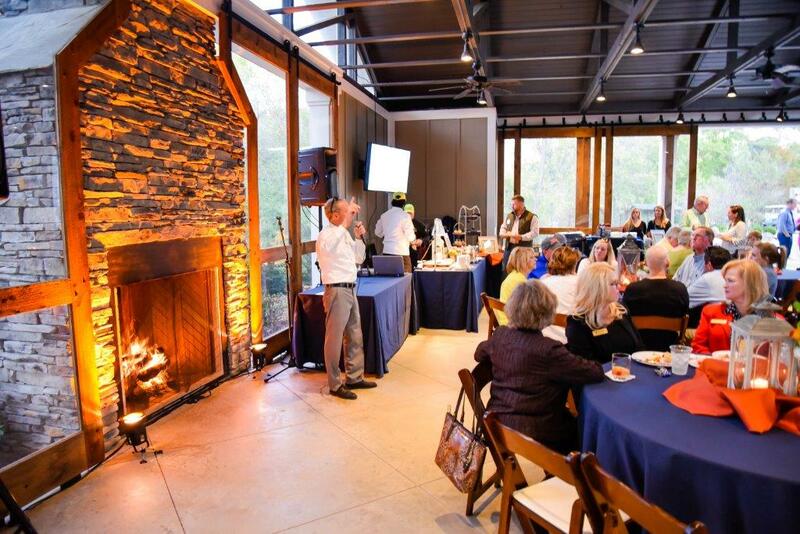 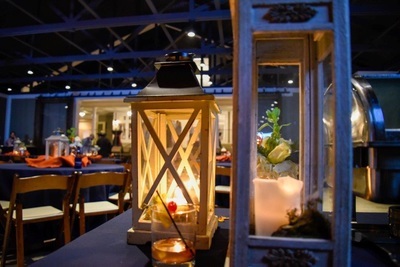 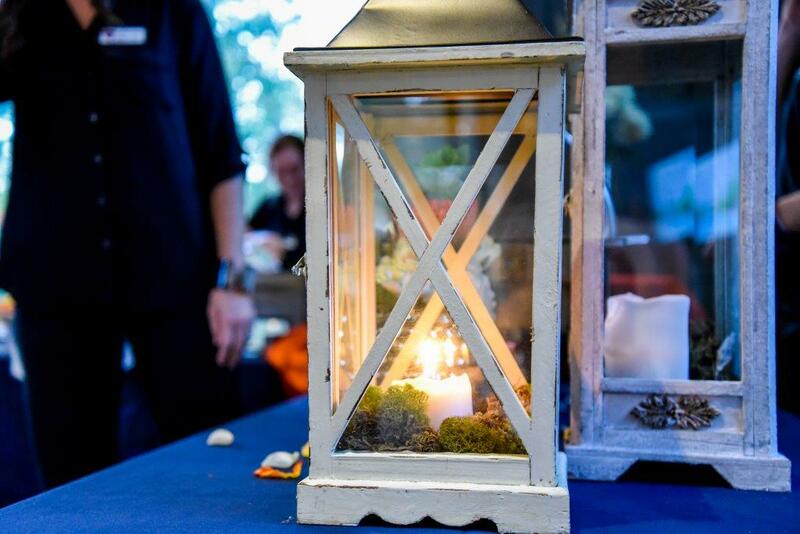 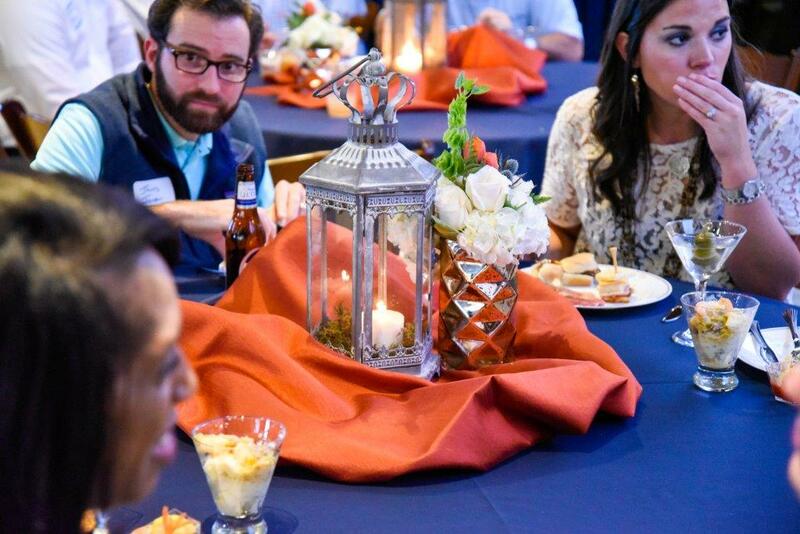 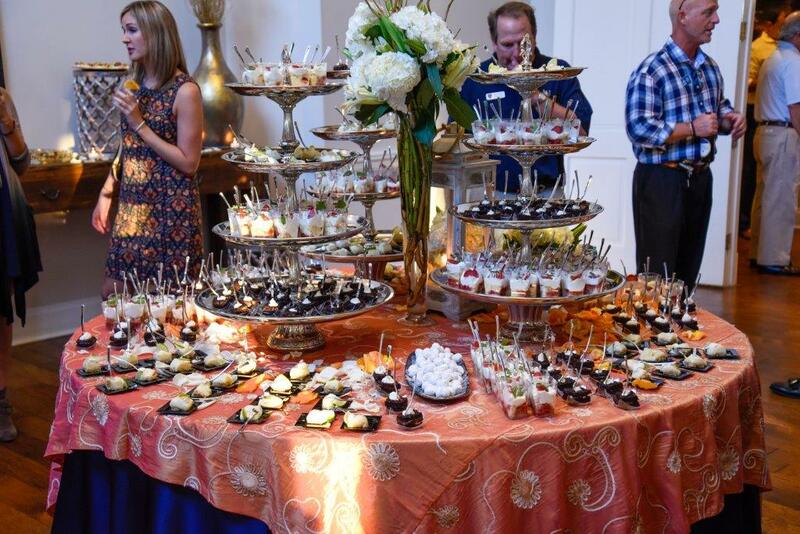 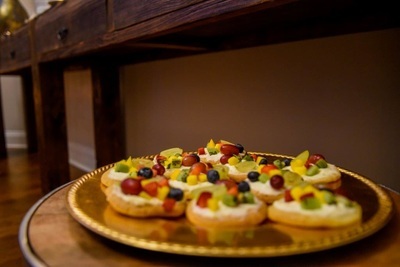 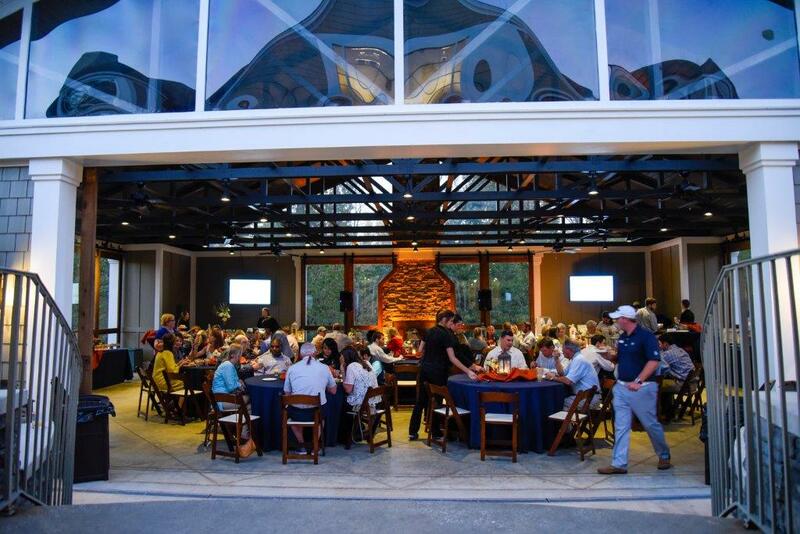 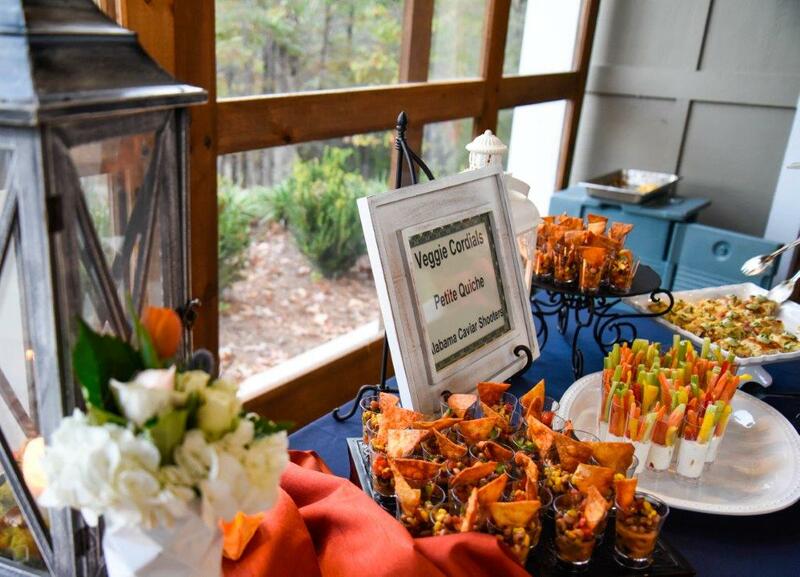 The Auburn University Club was in orange and blue splendor and the food was beyond compare. 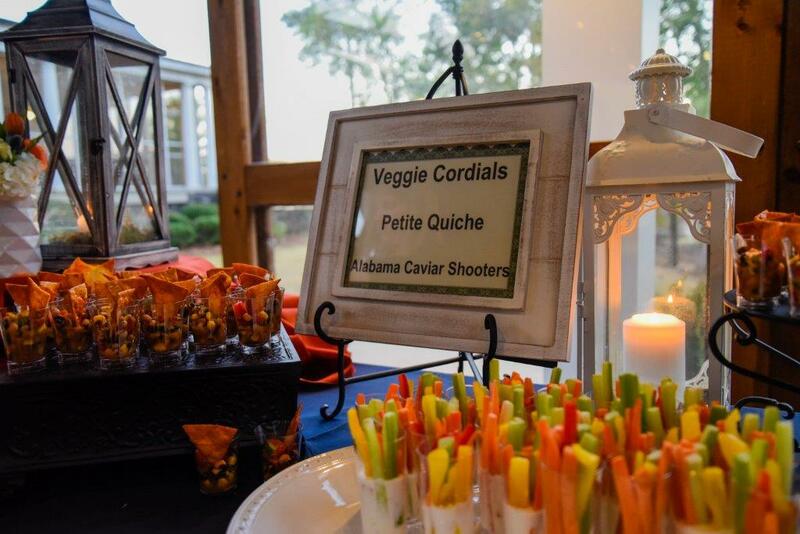 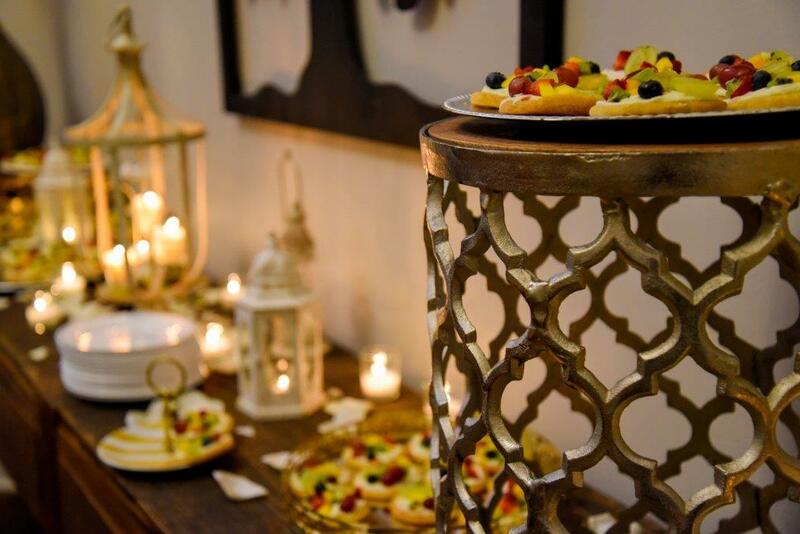 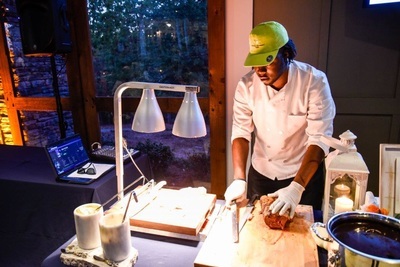 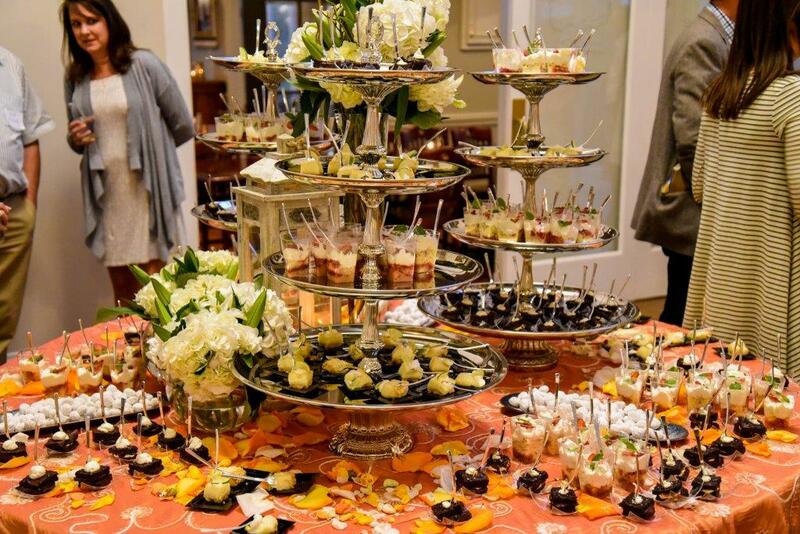 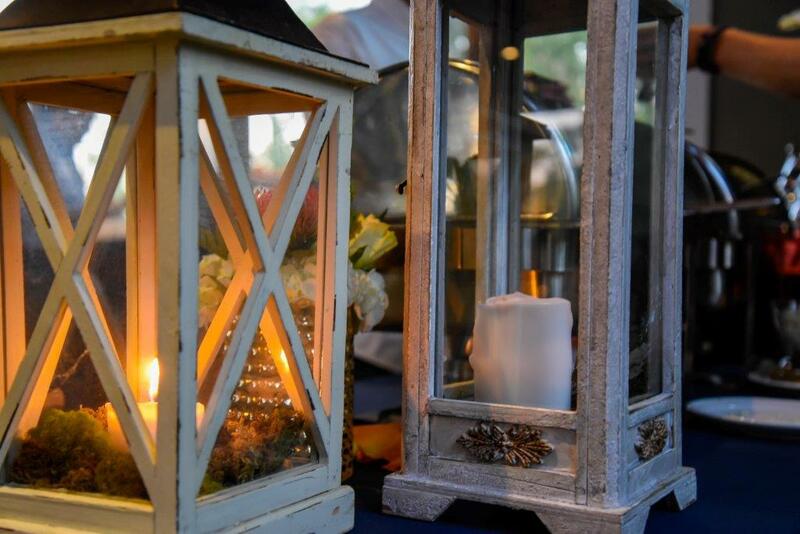 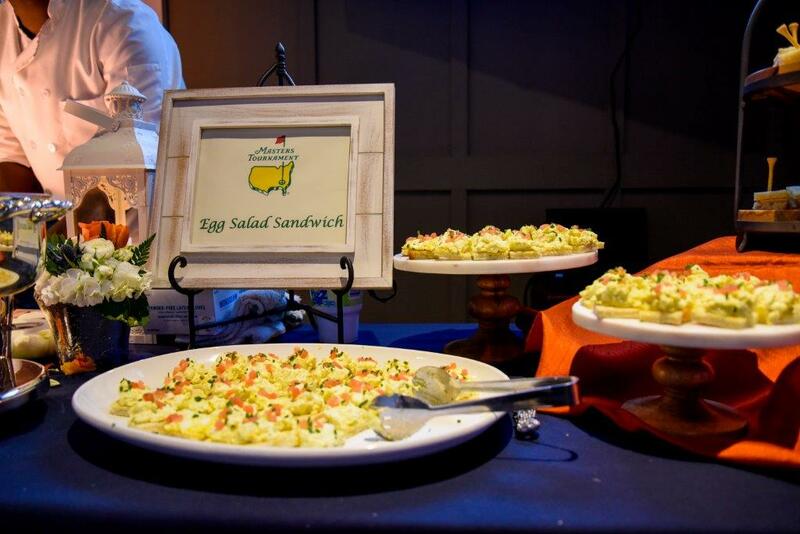 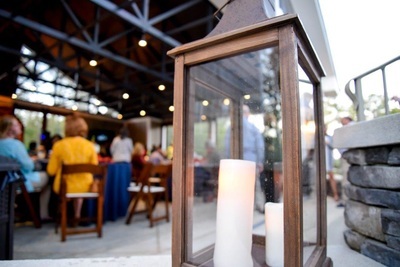 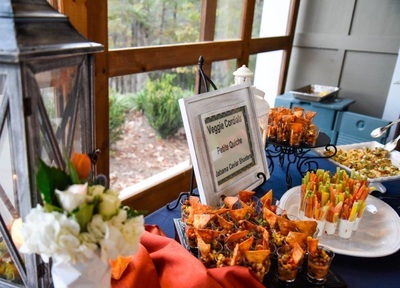 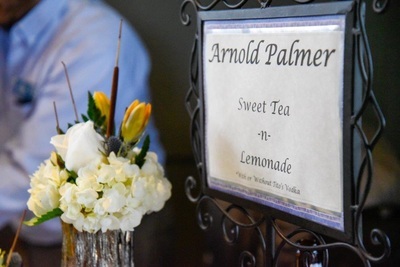 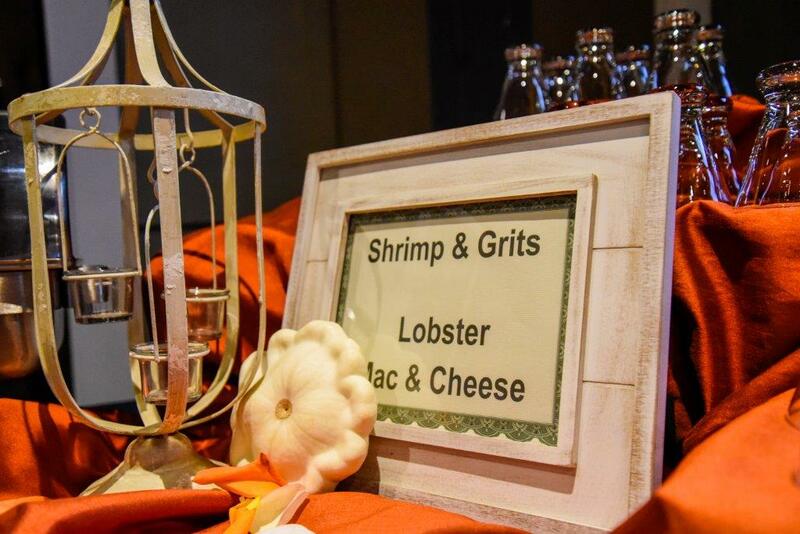 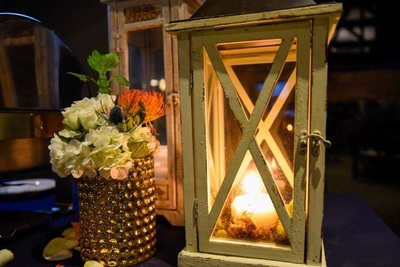 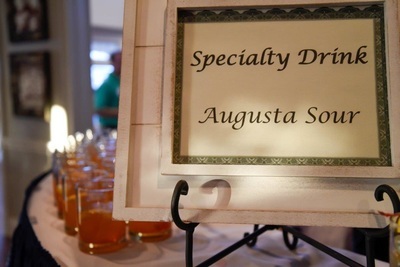 Guests enjoyed a full array of “Southern Golf Country Club Fare” including southern delicacies like pulled pork and pimento cheese sliders, lobster mac n’ cheese, Alabama caviar, shrimp cocktail, egg salad on toast, club sandwiches, quiche, shrimp and grits and MORE! 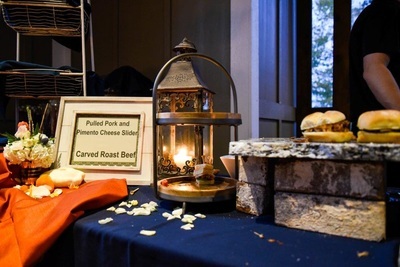 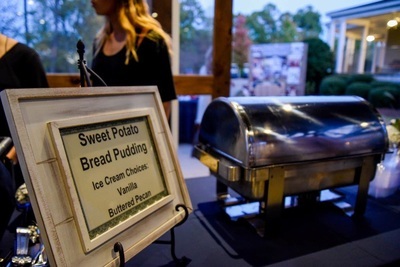 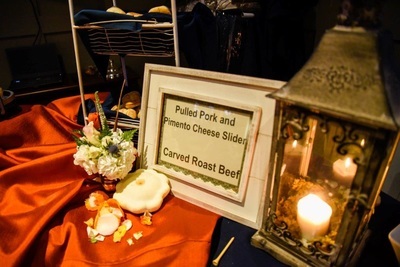 Guests also enjoyed a beef carving station and a plethora of amazing desserts including sweet potato bread pudding with butter pecan ice cream. 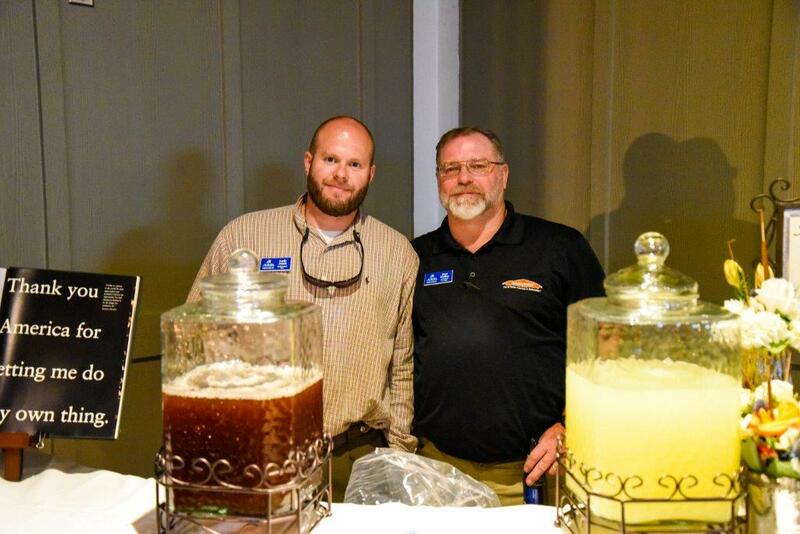 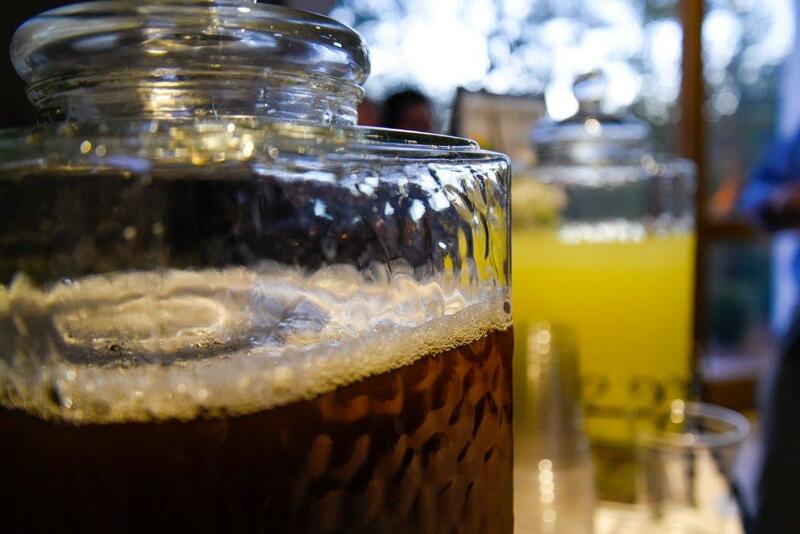 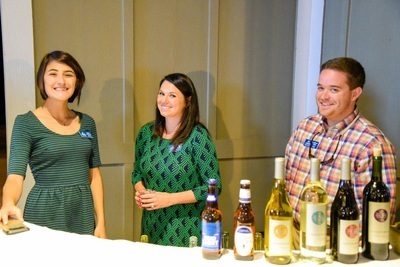 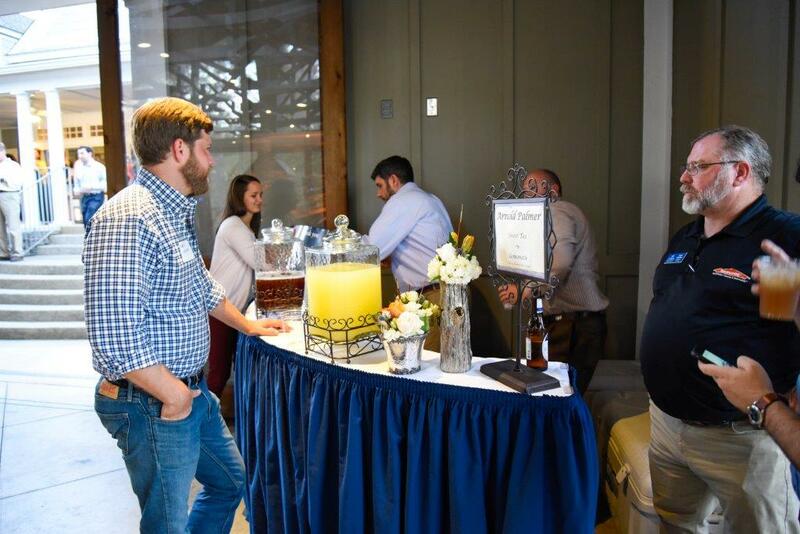 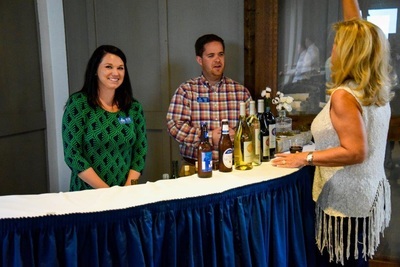 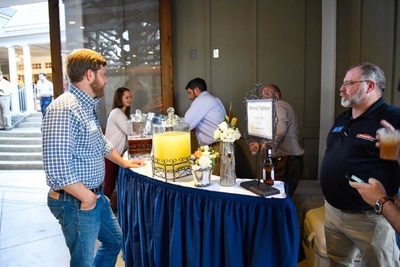 Along with the usual beer and wine offered at Business After Hours, guests were treated to a secret recipe specialty drink, the Augusta Sour. 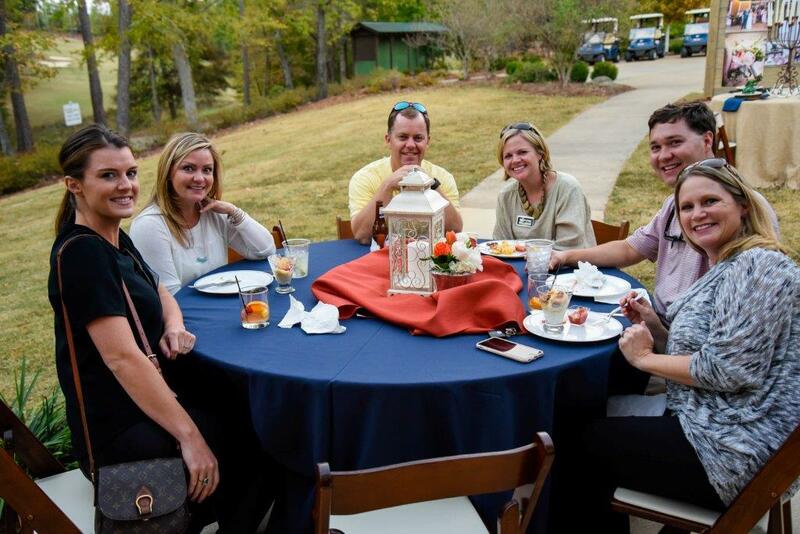 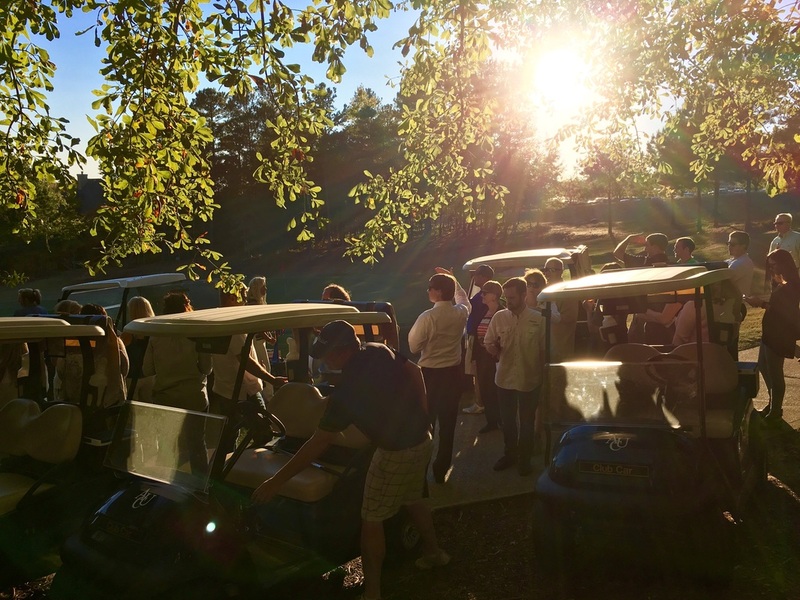 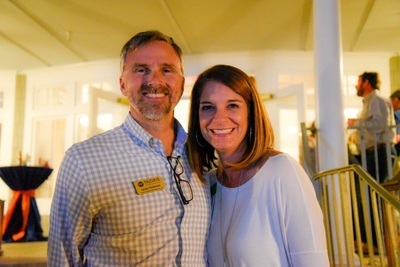 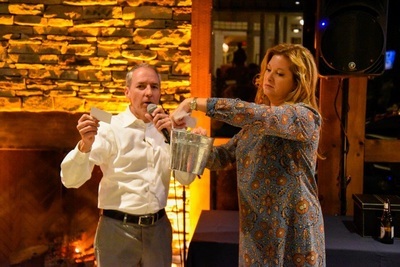 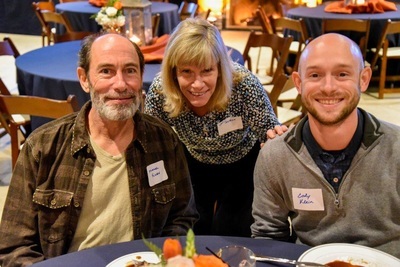 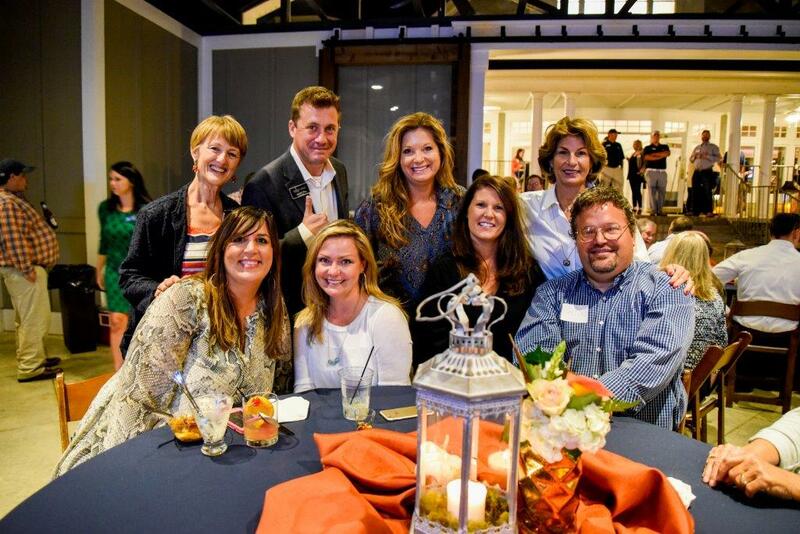 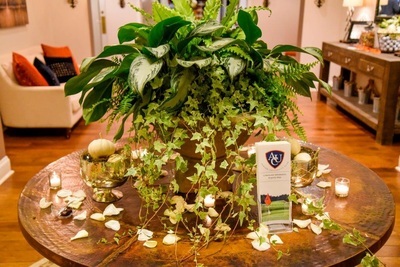 The award-winning agents and support staff of BHHS were on hand to cheer on golfers during the hole in one challenge and then entertained guests afterwards and throughout the elegant evening at the AU Club. 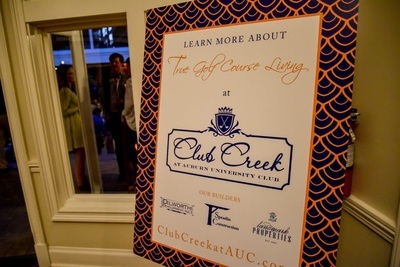 They also answered questions about “True Golf Club Living” at the newest neighborhoods at Auburn University Club – Falls Crest, Parc and Club Creek. 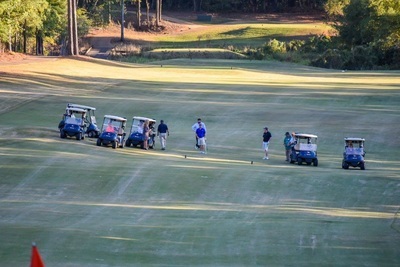 Unfortunately, none of the qualifiers were able to make the special hole in one, but they know what to practice for and have their sites set on next year's tournament. 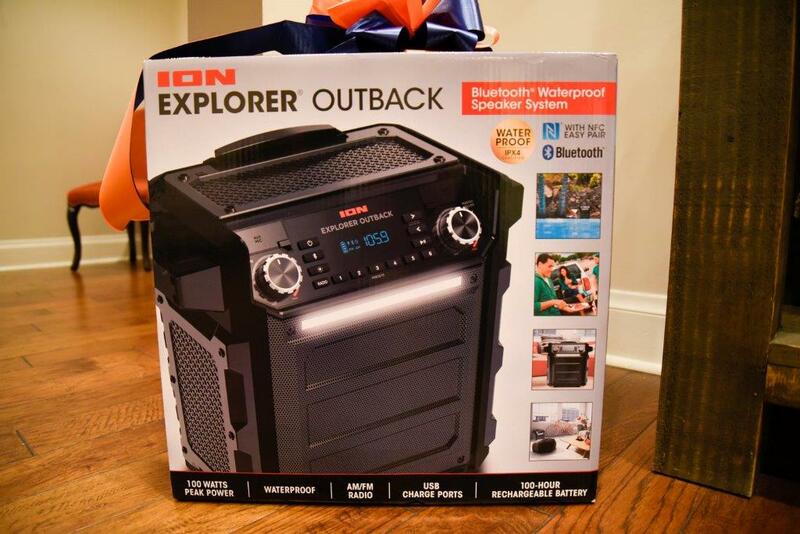 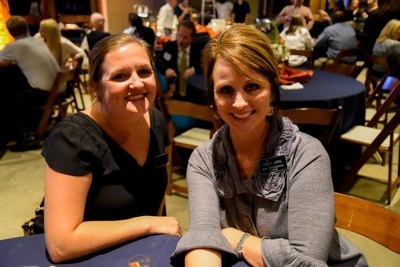 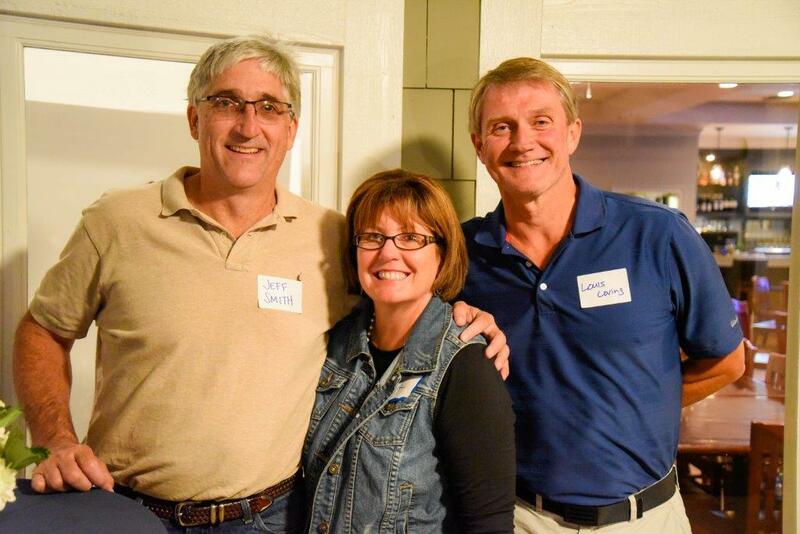 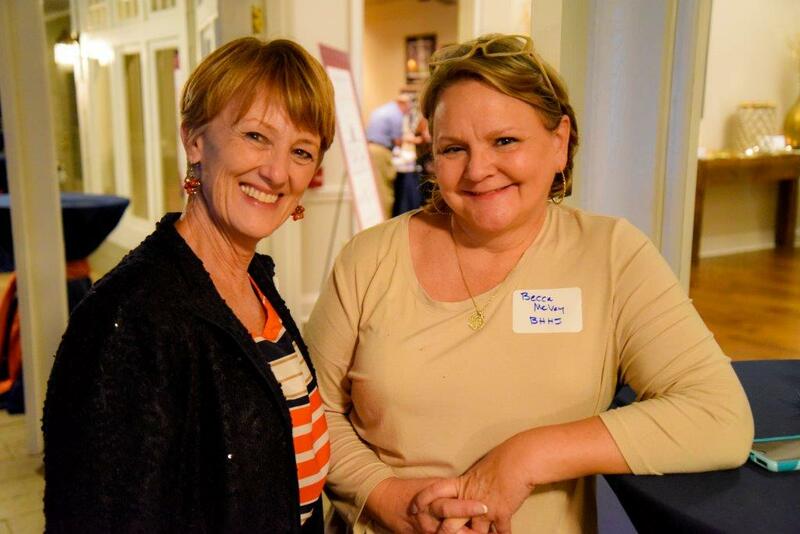 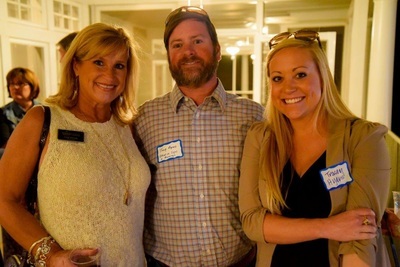 Were you able to attend Business After Hours? 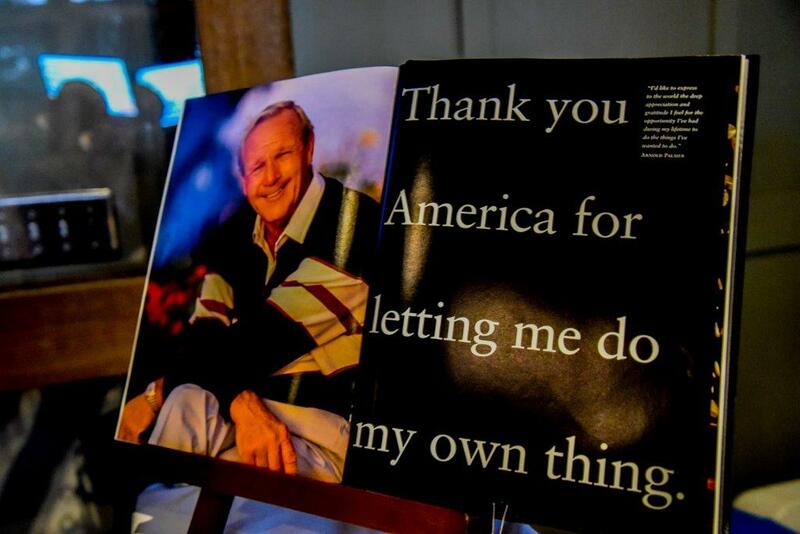 If so, check out the photo gallery to find yourself and your friends. 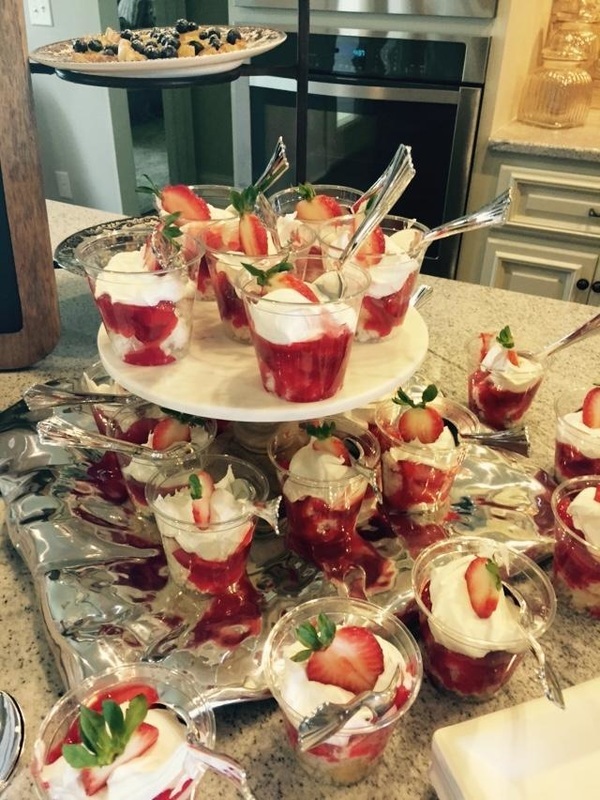 If NOT - then check out what you missed! 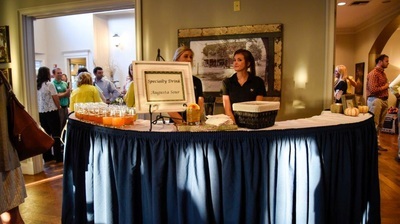 A very big THANK YOU to all of our Auburn Chamber Diplomats for their help in serving our guests. 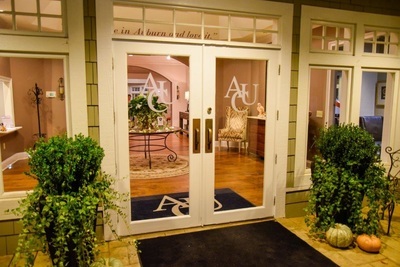 Have questions about one of AU Club's premium new home neighborhoods? 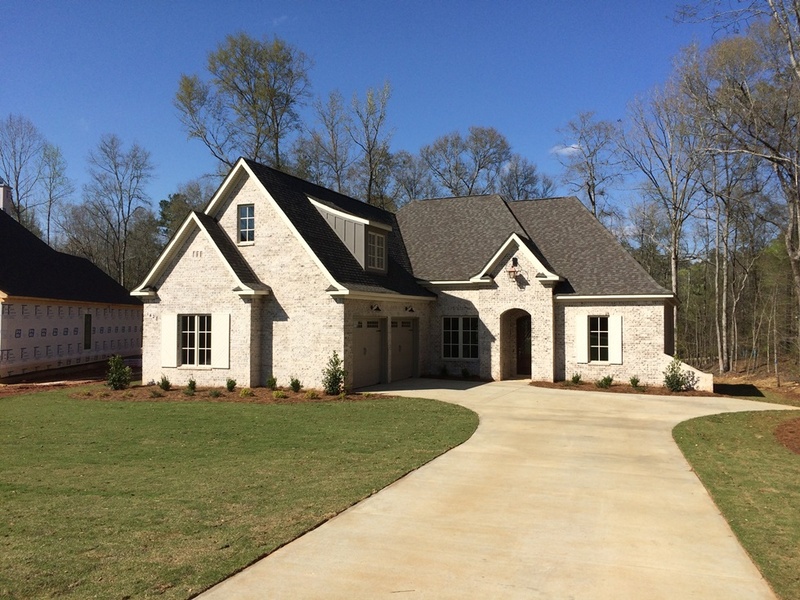 Then get in touch with Auburn's most awarded real estate company at (334) 826-1010 or find your new home at BHHSPreferredAuburn.com. 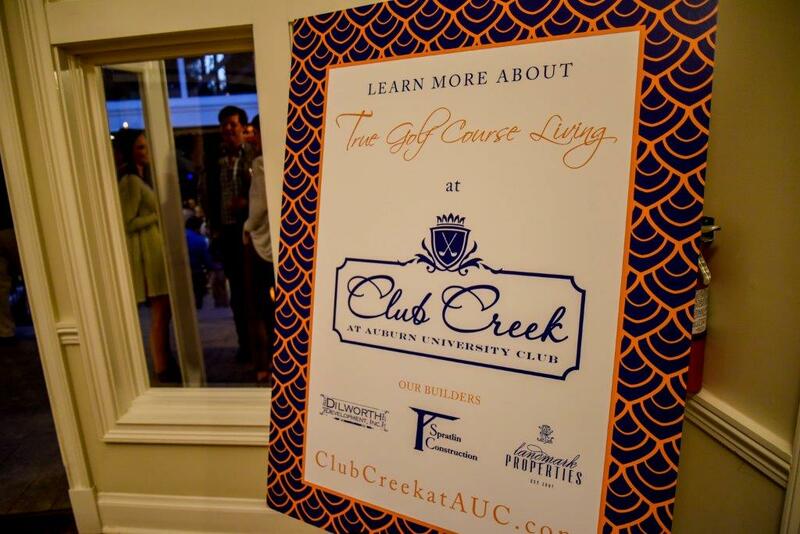 Falls Crest at Auburn University Club offers world class golf course living - literally - in your backyard! Several new homes have been completed and the home owners are enjoying the exceptional amenities of the AU Golf Club along with gorgeous views of the award-winning golf course right off their back deck! 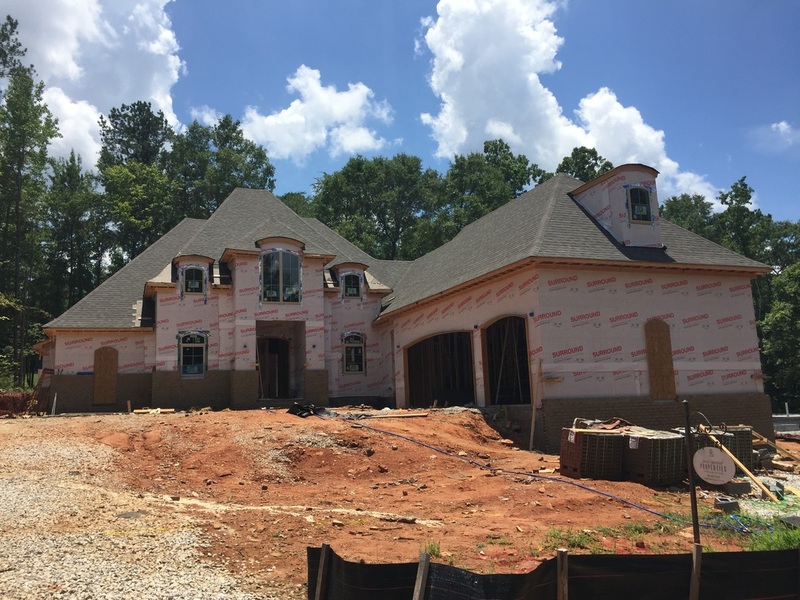 This new home at 1447 Falls Crest Drive features quality construction by Landmark Properties and offers all of the upscale amenities you are looking for and situated on a great golf course lot. Trimmed arched entry ways, granite throughout, tile in all wet areas, tile backsplash in kitchen, designer selected lighting and color palettes, stainless steel appliances, external wood-burning fireplace, brick with stone accents, and 3-car garage. 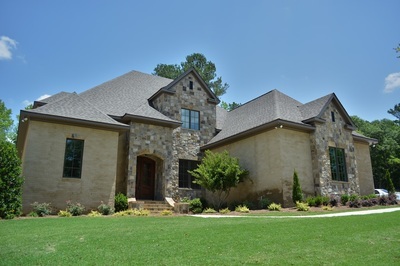 5 bedrooms and 3 1/2 baths - priced at $569,900. 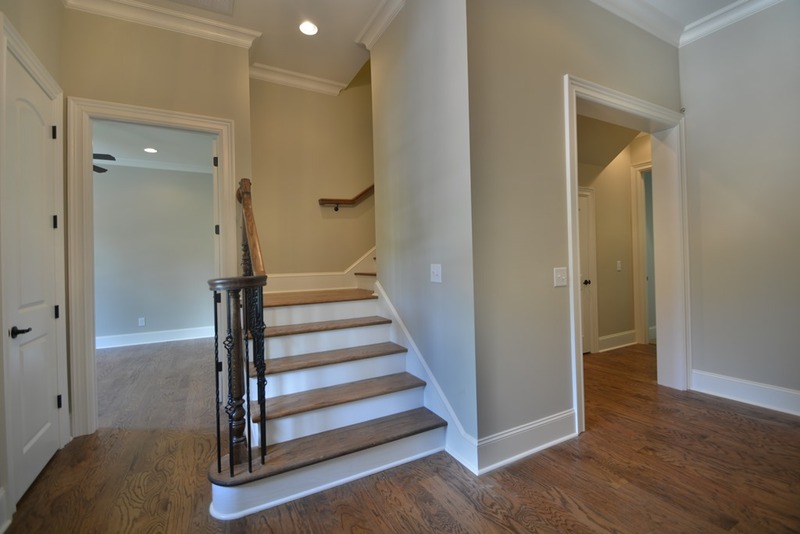 Call for a personal tour at (334) 826-1010. 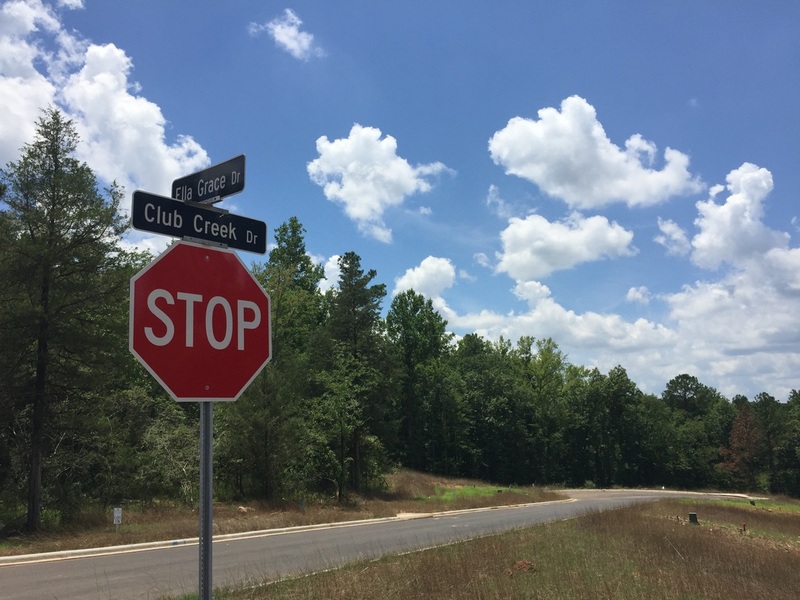 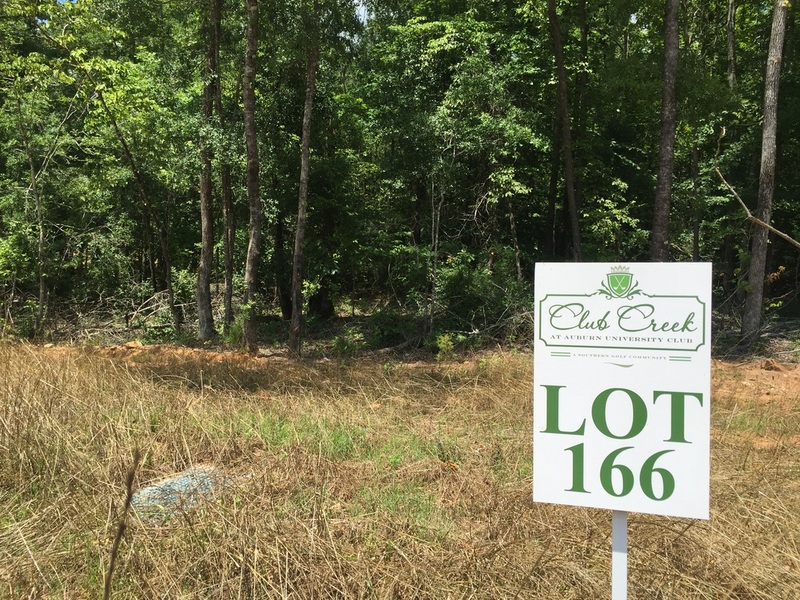 A few lots remain in Falls Crest for your custom home project. 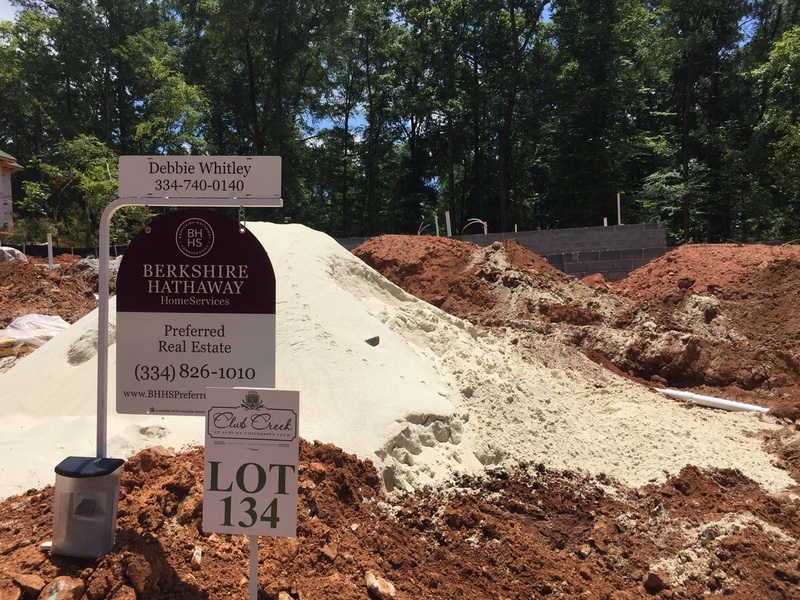 See our site plan for availability or get in touch with one of our #1 Real Estate Agents at Berkshire Hathaway HomeServices. 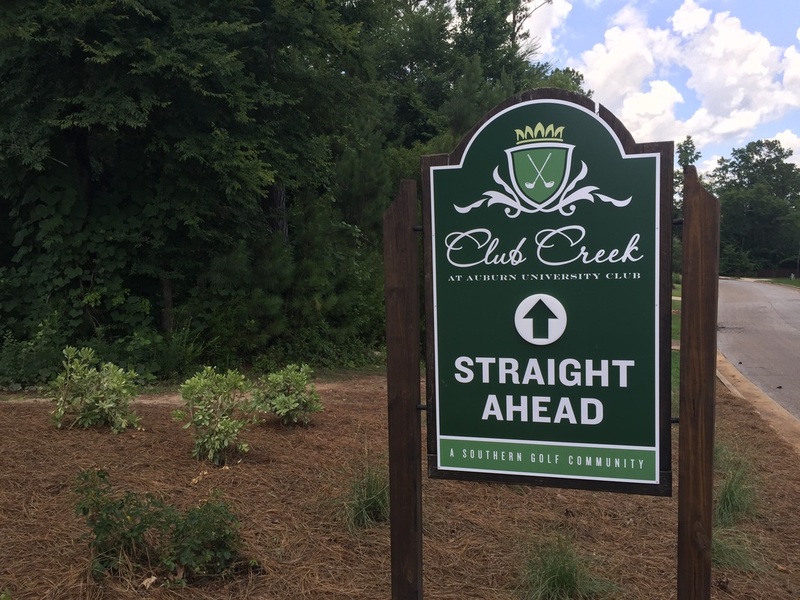 Just down the street from Falls Crest - and still a part of the unique golf course community that surrounds the Auburn University Club - is our sister neighborhood, Club Creek. 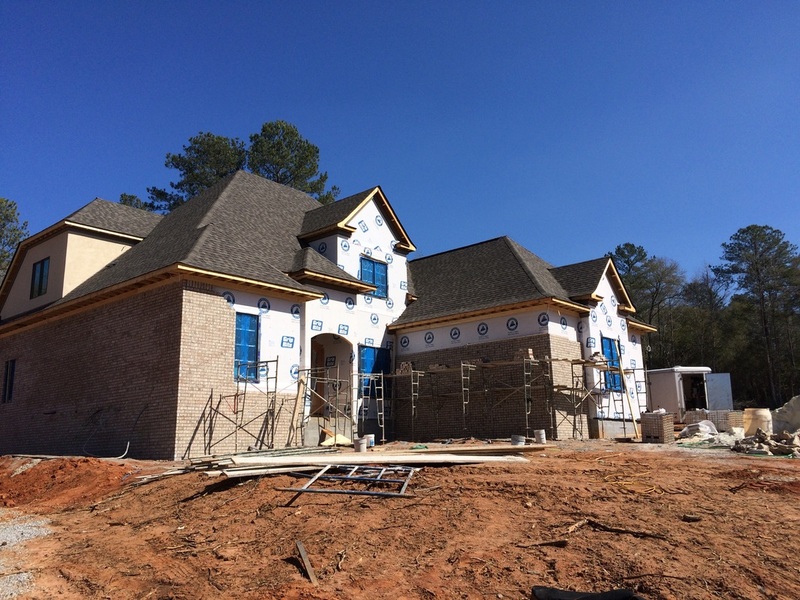 Take a drive through the neighborhood to see available homes under construction and lots that are available for your custom project. 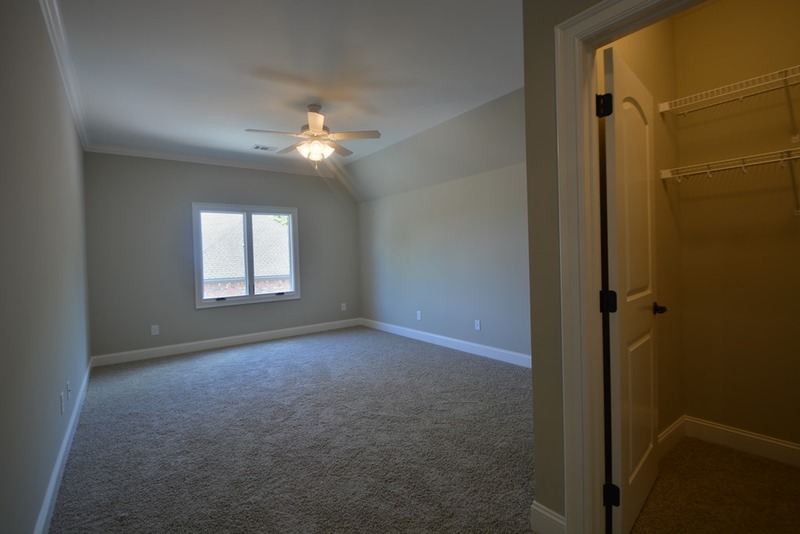 Th new year brings new opportunities - and maybe a NEW HOME for you and your family! 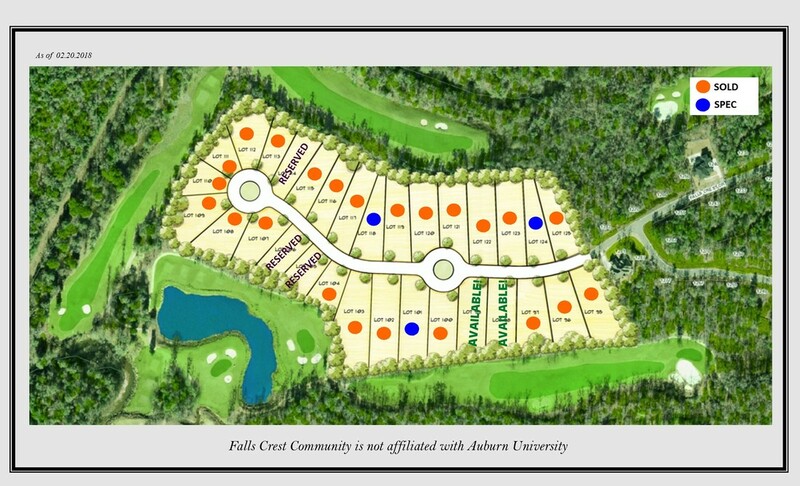 We've recently updated our map of available lots and homes in Falls Crest and invite new home buyers to take a drive through the neighborhood to experience the award-winning custom construction along true golf course living. 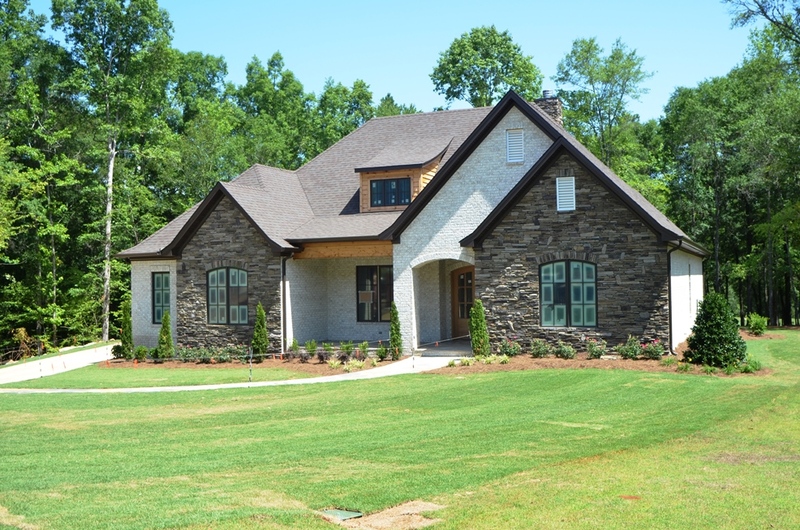 To schedule a personal tour of lots and homes available, simply use our contact form or call Berkshire Hathaway HomeServices at (334) 826-1010. 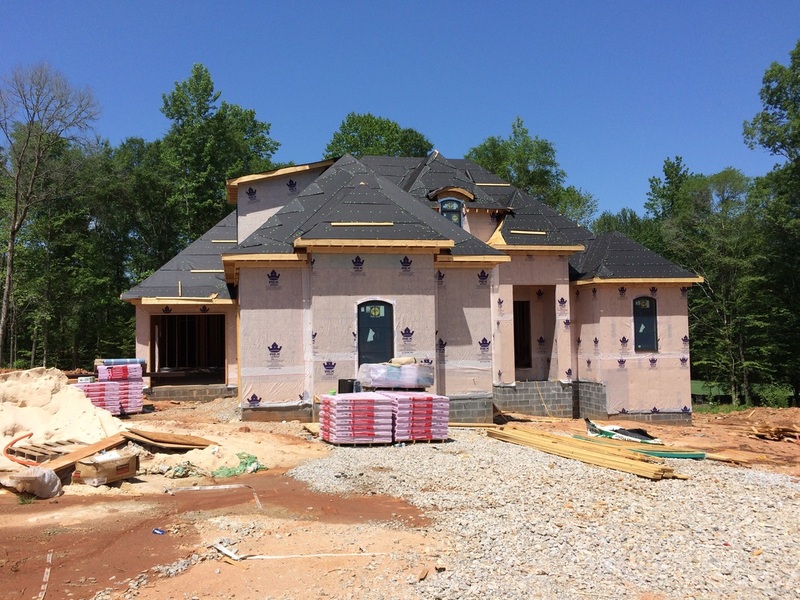 A quick look at this new custom home from Acuff Construction in Falls Crest and it's easy to see... the award-winning builders in Falls Crest are committed to the highest levels of quality in their new homes. 1389 Falls Crest Drive is complete and ready for move-in. 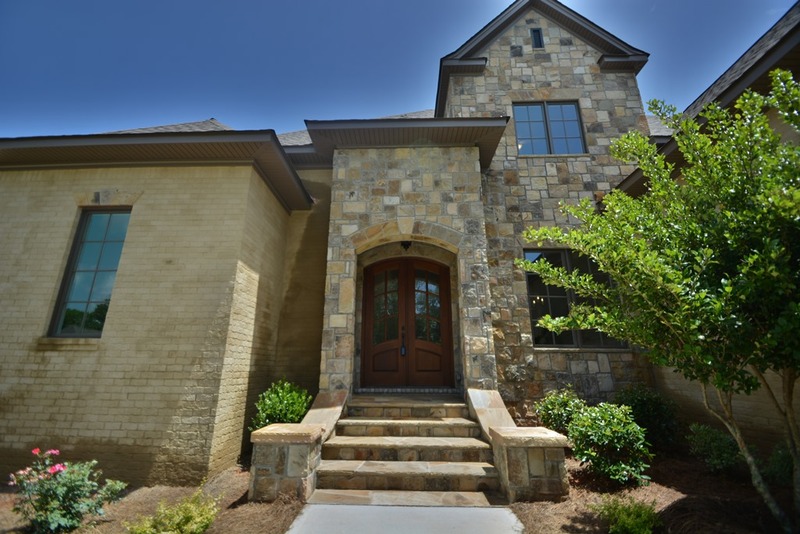 This 5 bedroom, 4 bath home (plus 2 half baths) is full of exquisite custom features - too many to list here. 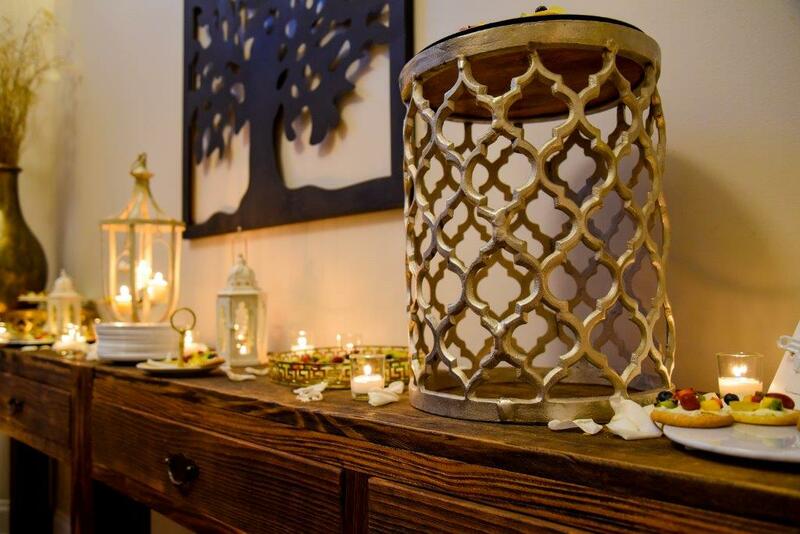 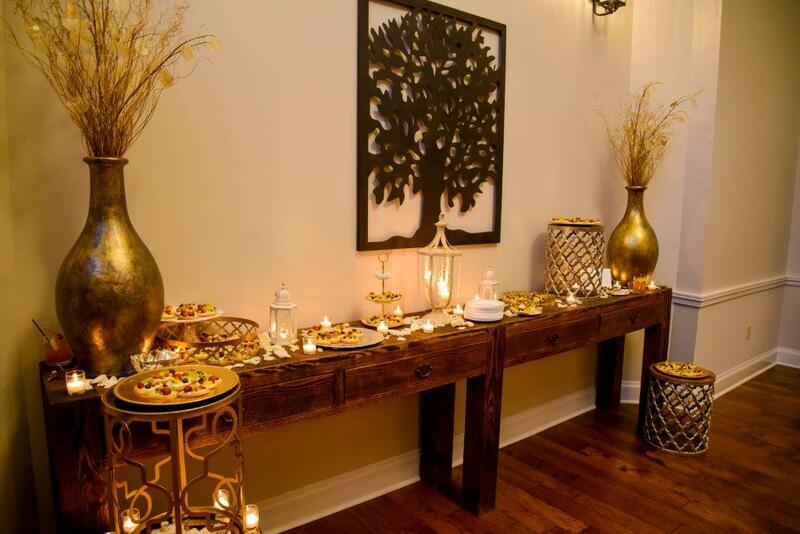 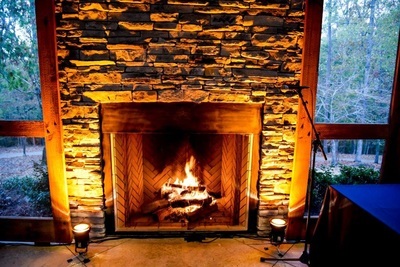 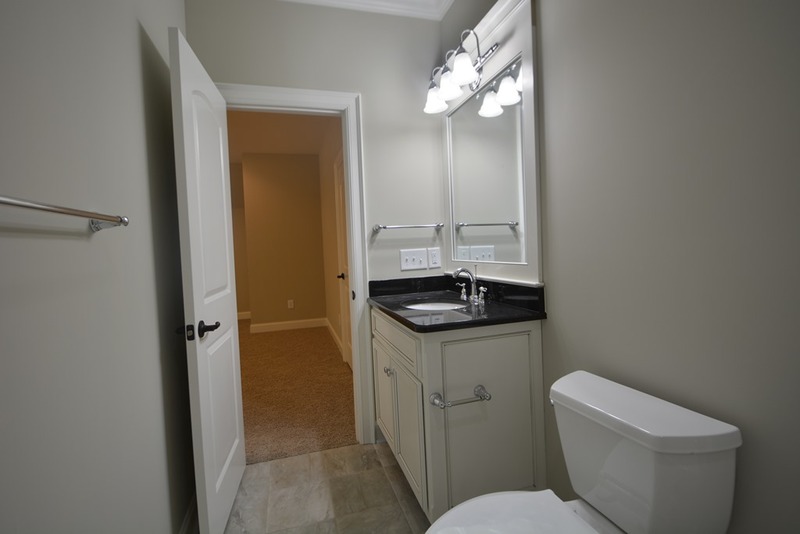 So below we offer a photo gallery for you to see for yourself. 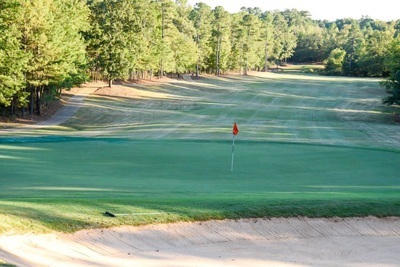 We also encourage you to drive through the neighborhood to get a feel for the world class amenities available to you and your family including the view from your back yard... world class championship golf at the Auburn University Club. 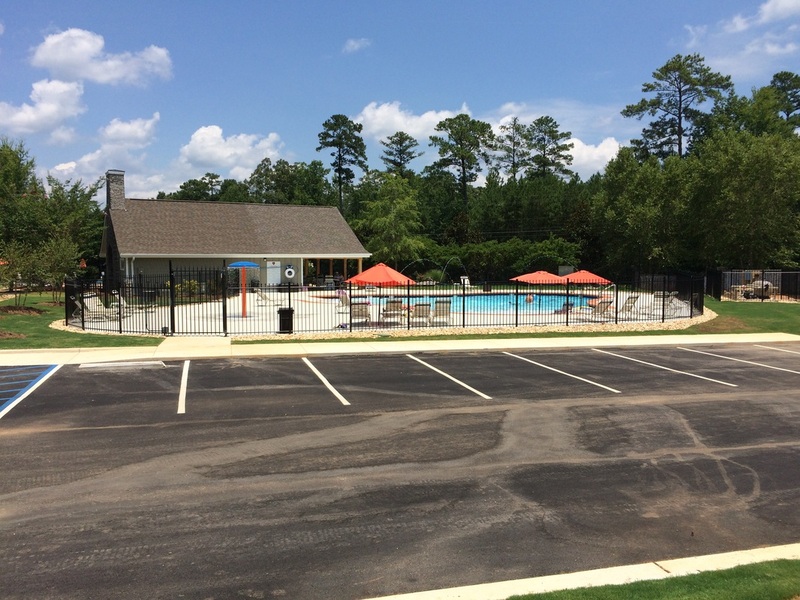 You can also visit the brand new pool and cabana, Herring Fitness and Clubhouse Restaurant. 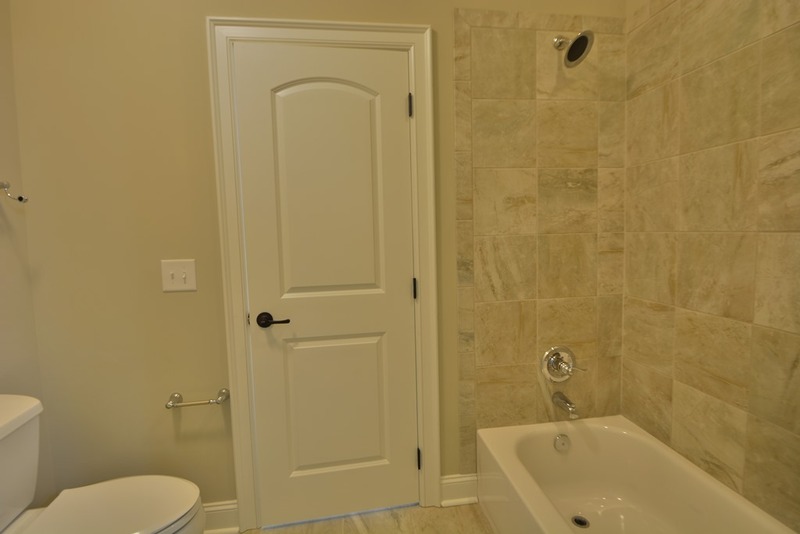 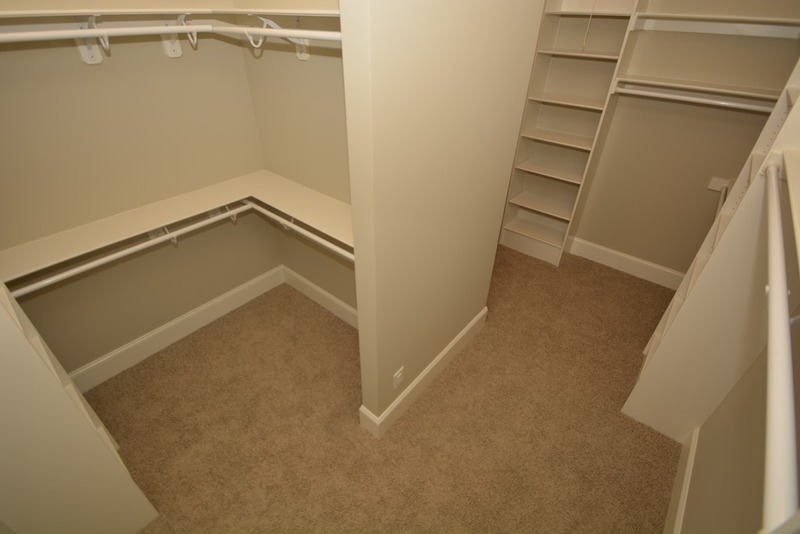 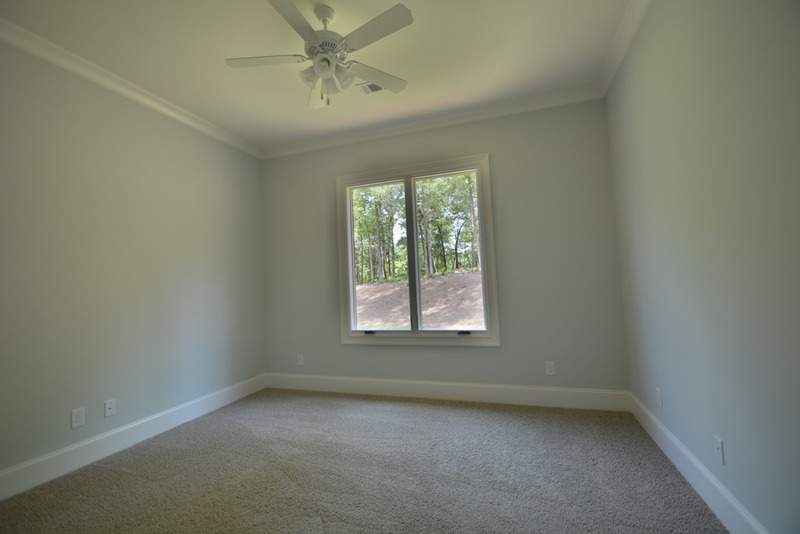 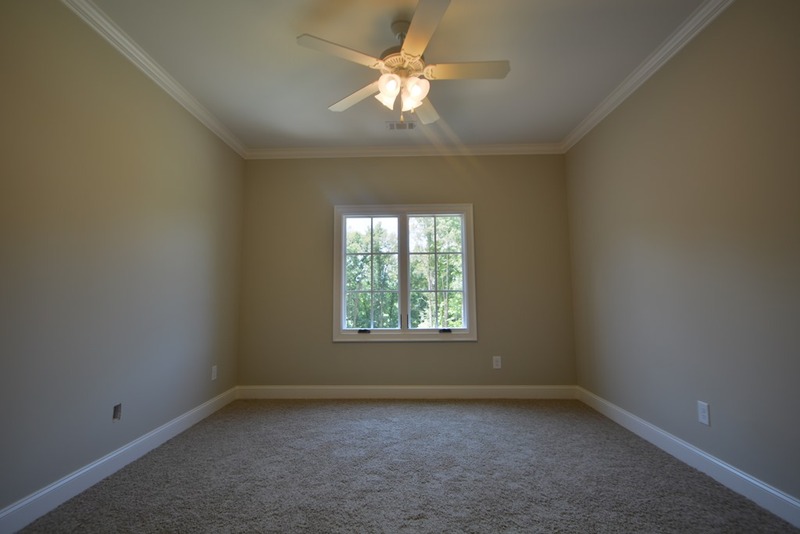 All available for your enjoyment when you become a new homeowner in Falls Crest. To schedule your own personal tour and private showing contact Alex Acuff directly at (706) 527-7408. 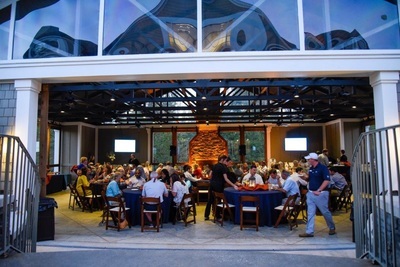 The Auburn University Club is excited to announce the addition of a second pool to their long list of exceptional amenities. 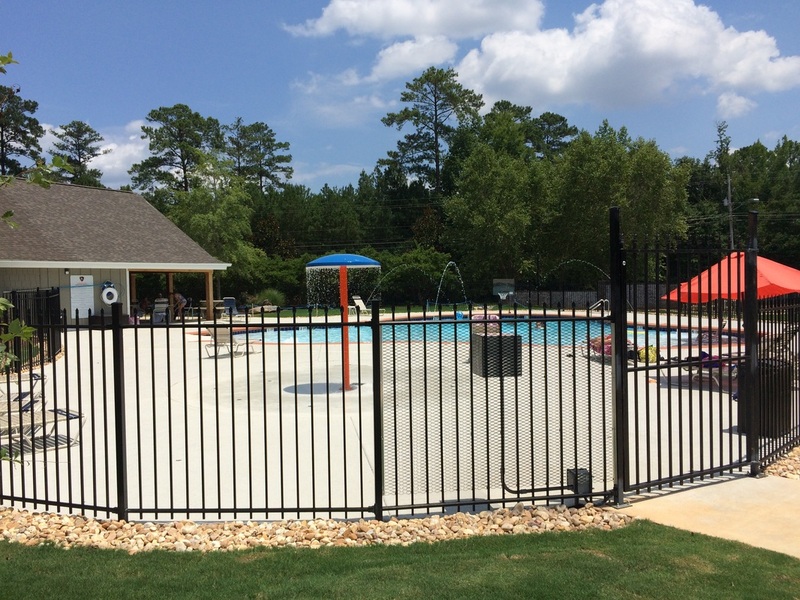 The new pool features fountains, a splash area and shallower pool depths. 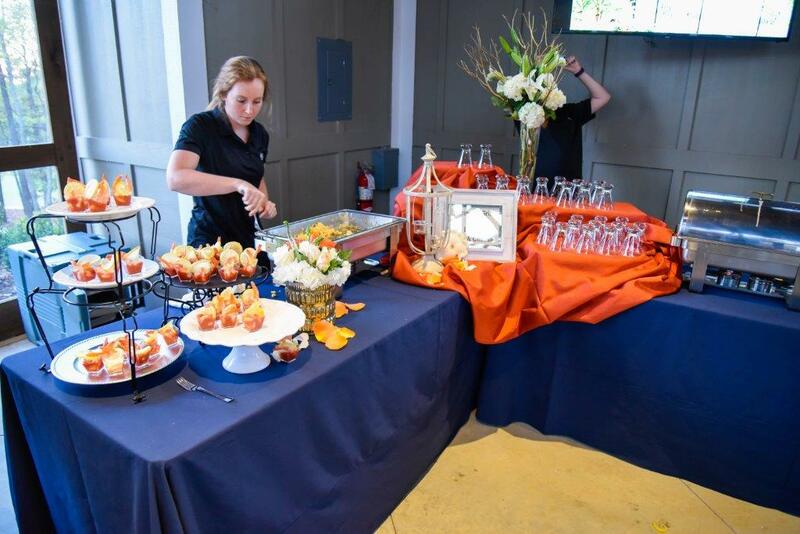 Along with the new pool is the addition of a new cabana that features snacks and refreshments for all. 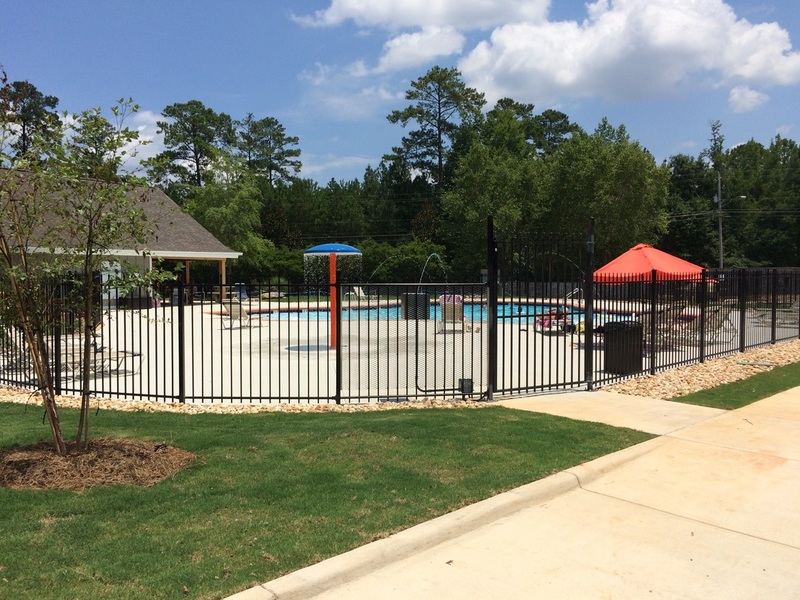 All Falls Crest homeowners receive an initiation fee waiver to enjoy the pools and other AUsome amenities. Contact Berkshire Hathaway HomeServices in Auburn for a personal tour, lot availability and new homes for sale. 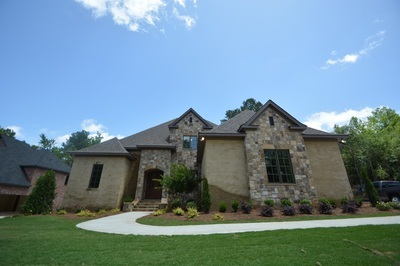 (334) 826-1010. 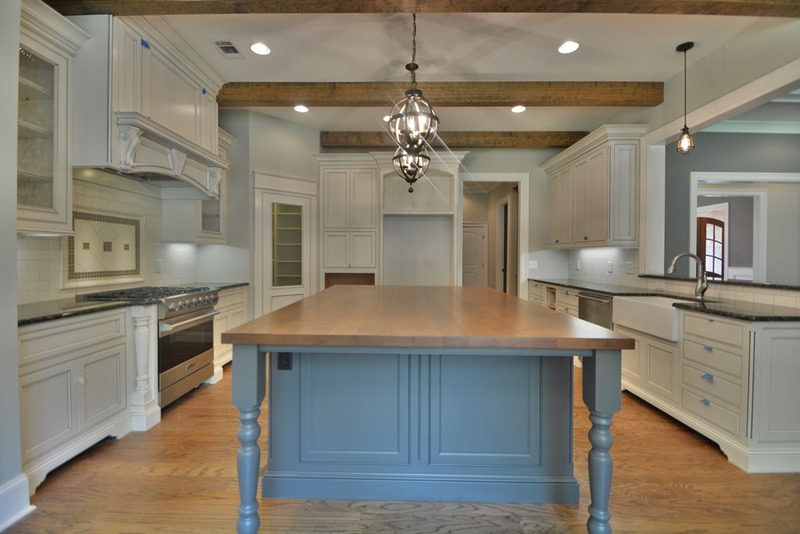 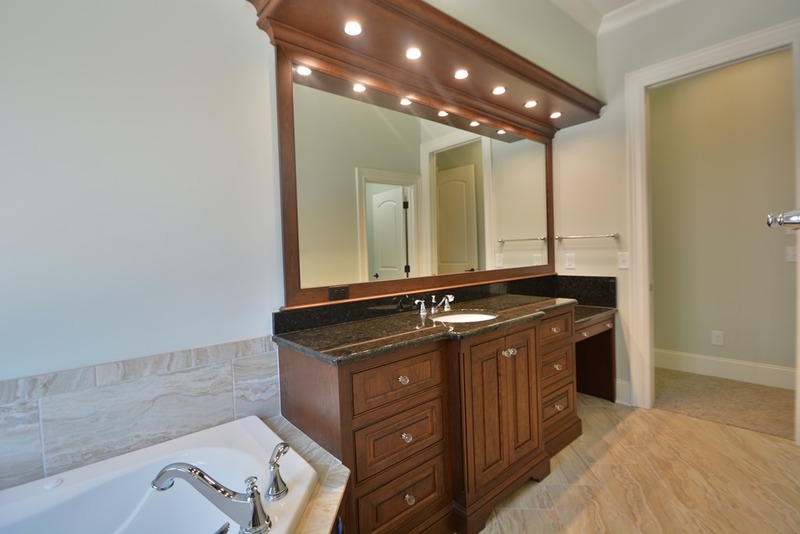 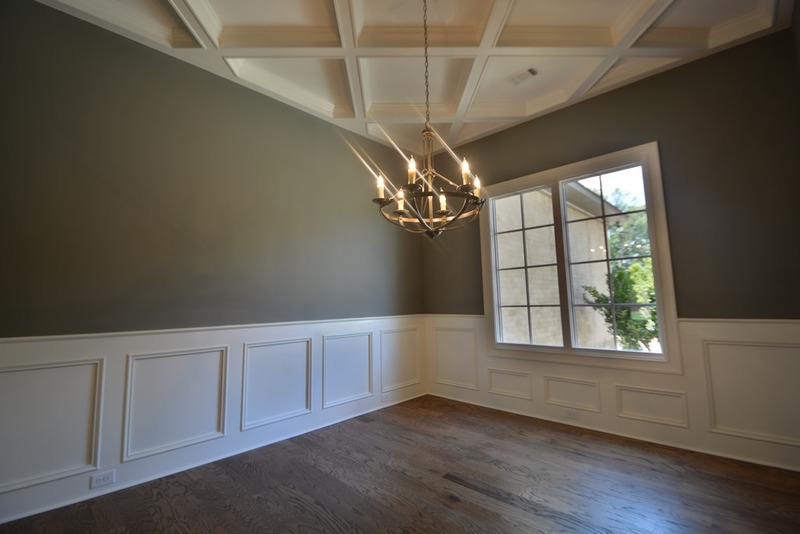 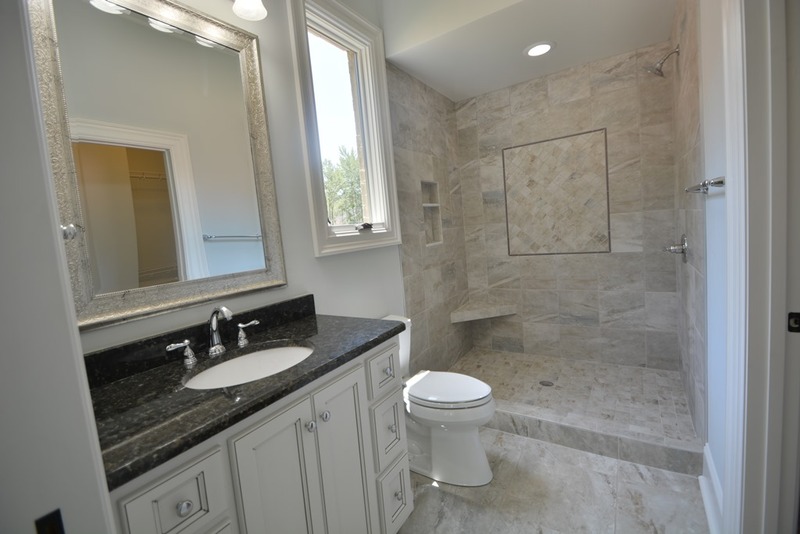 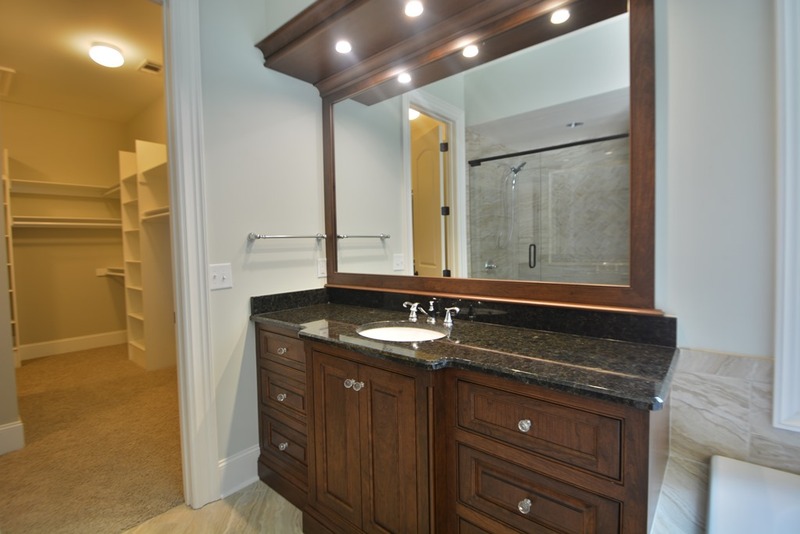 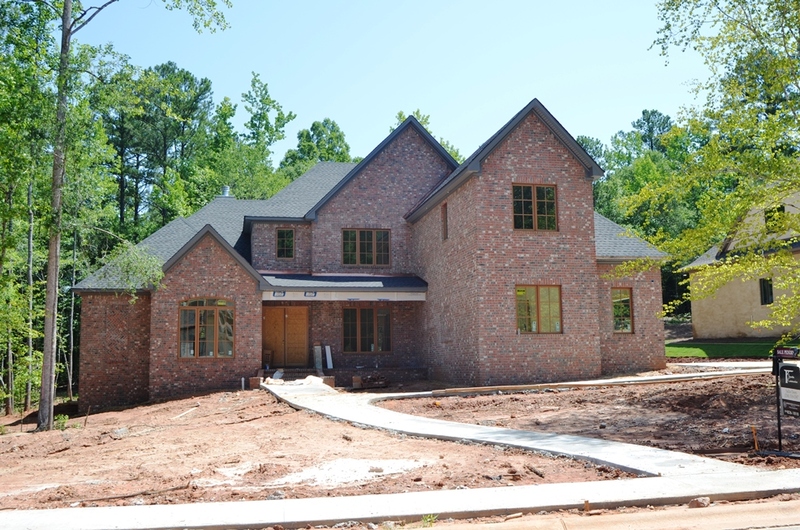 Our four award-winning custom home builders have been very busy in Falls Crest. 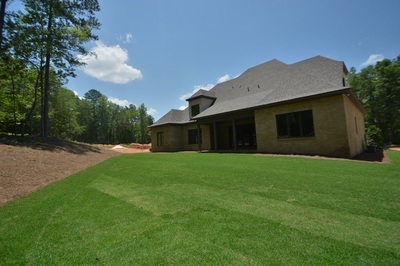 A number of homes have been completed, several are nearing completion and new homes are available in this unique golf course community. 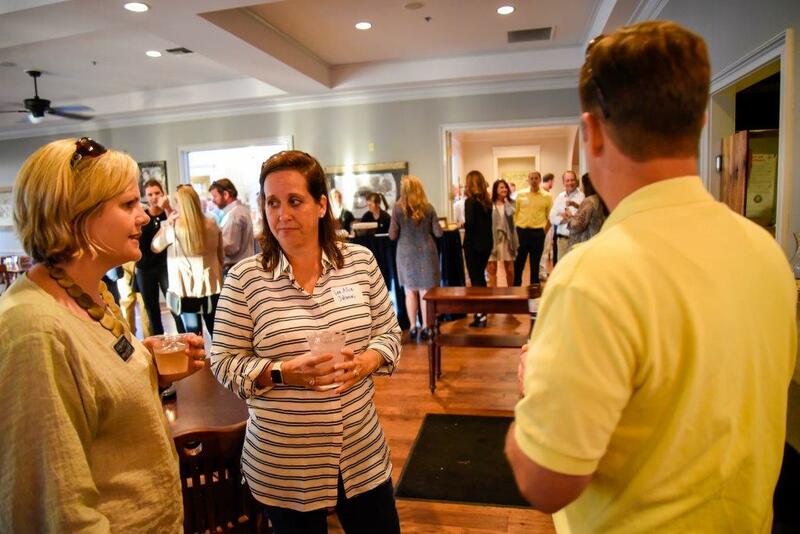 A recent agent caravan and open house drove a large crowd of local REALTORS to the neighborhood to view newly completed homes and available lots. 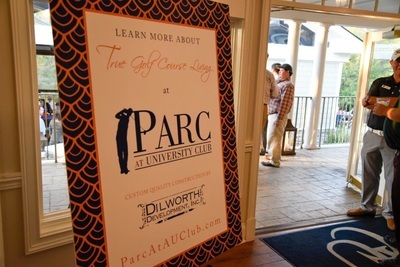 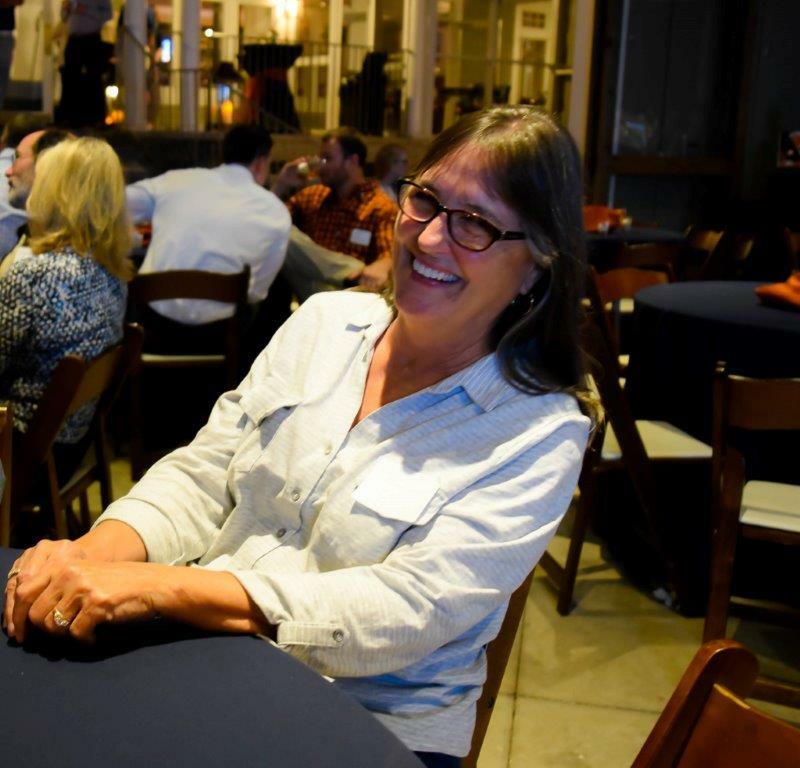 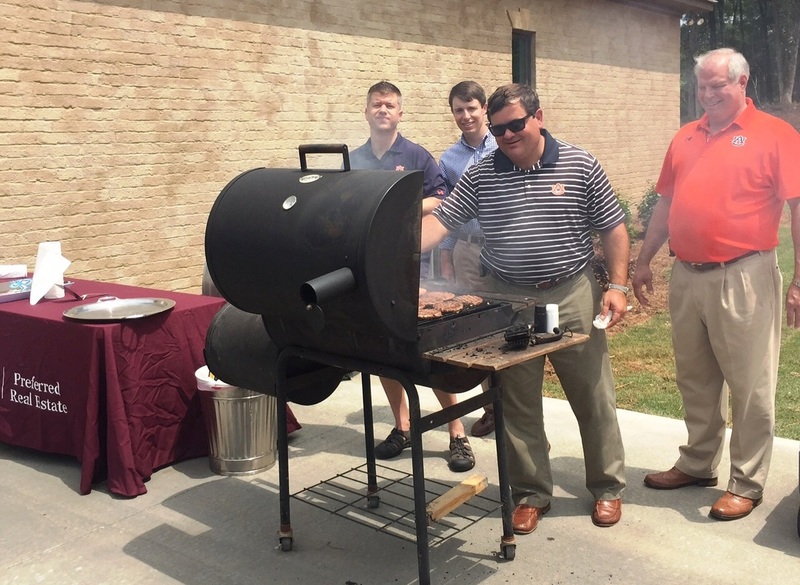 Agents enjoyed a bar-b-que lunch, fellowship, prize drawings as well as a HUGE dessert spread at our sister neighborhood, PARC at University Club. 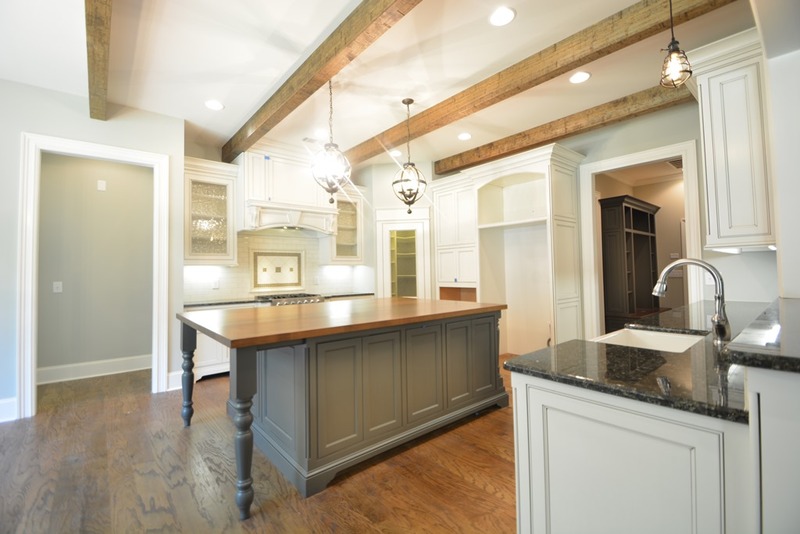 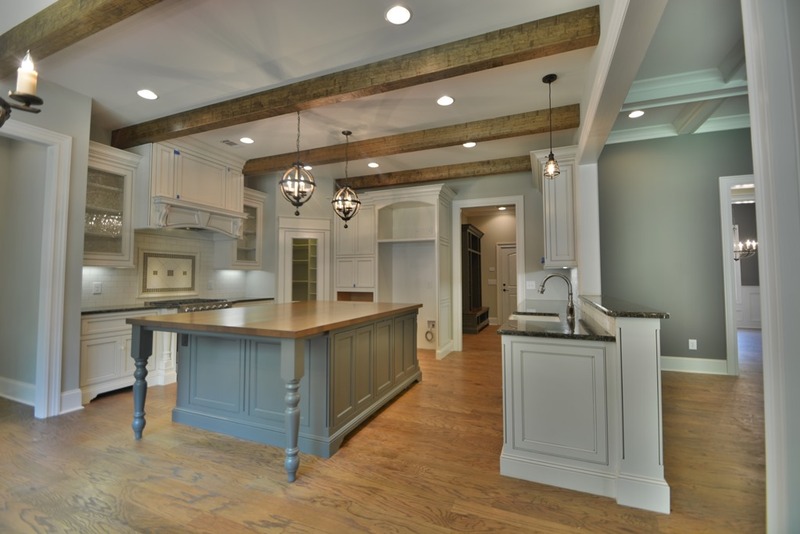 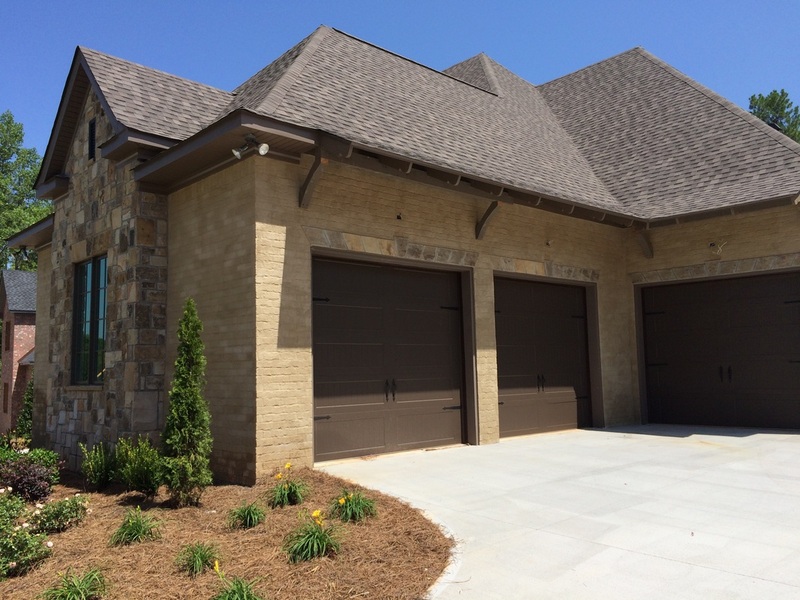 Custom homes are currently available from each of our four award-winning custom builders: Landmark Properties, Dilworth Development, Acuff Construction and Spratlin Construction. 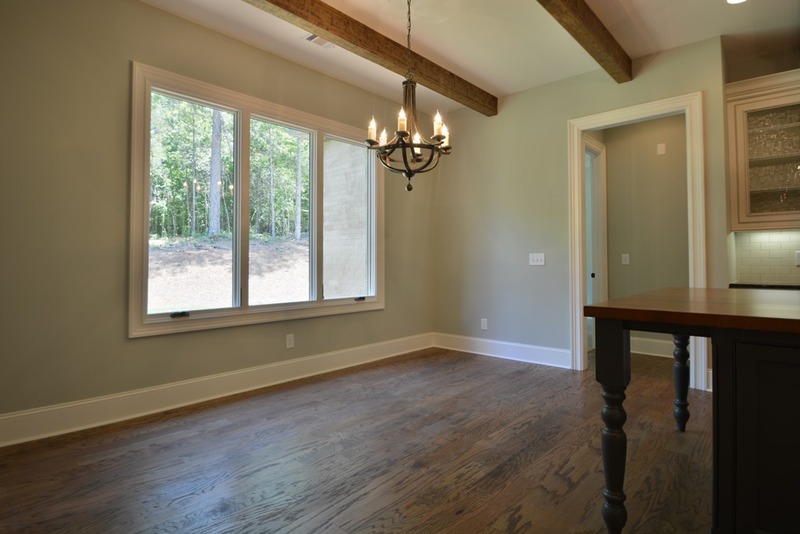 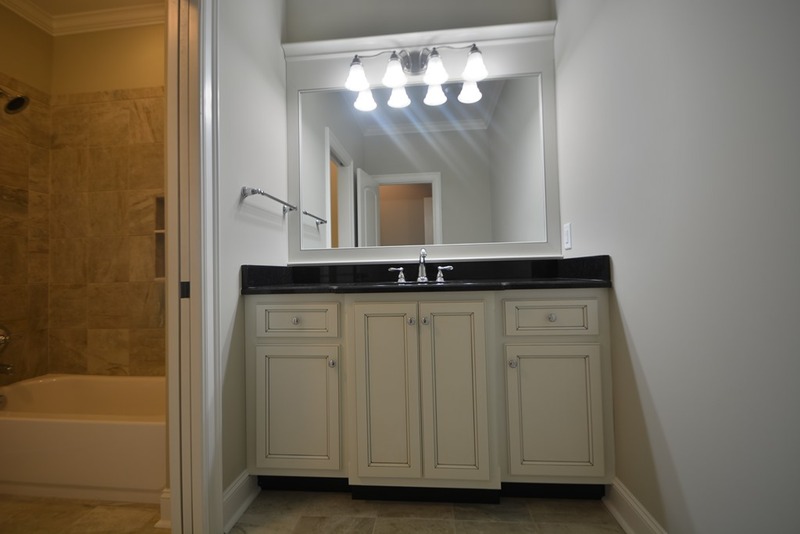 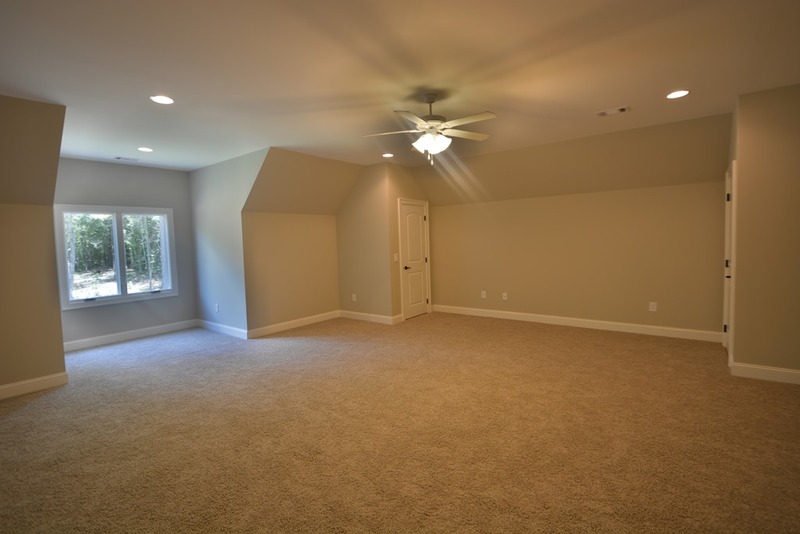 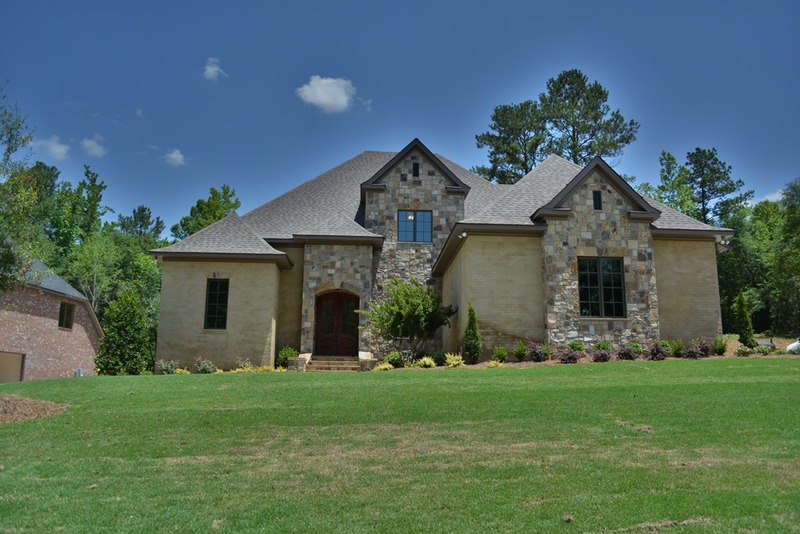 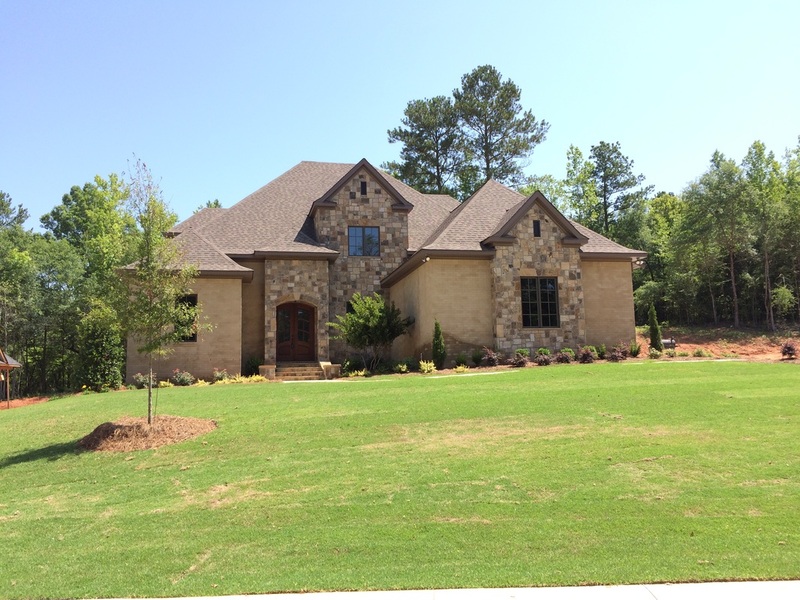 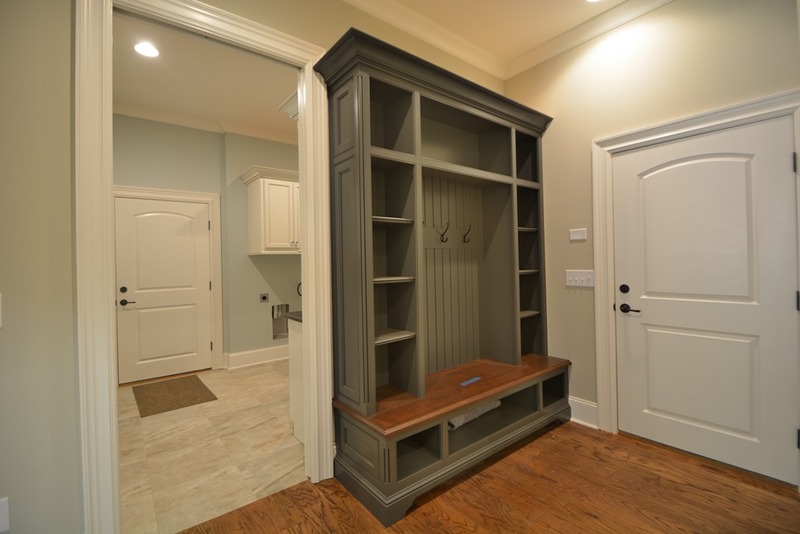 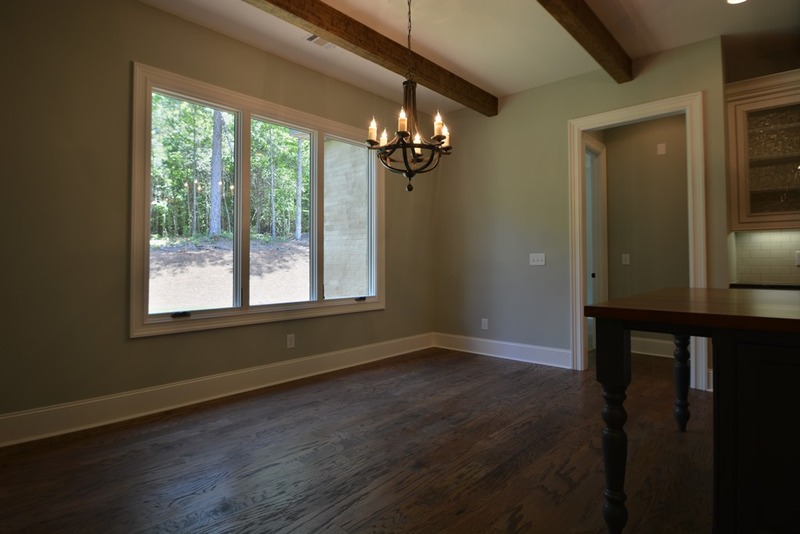 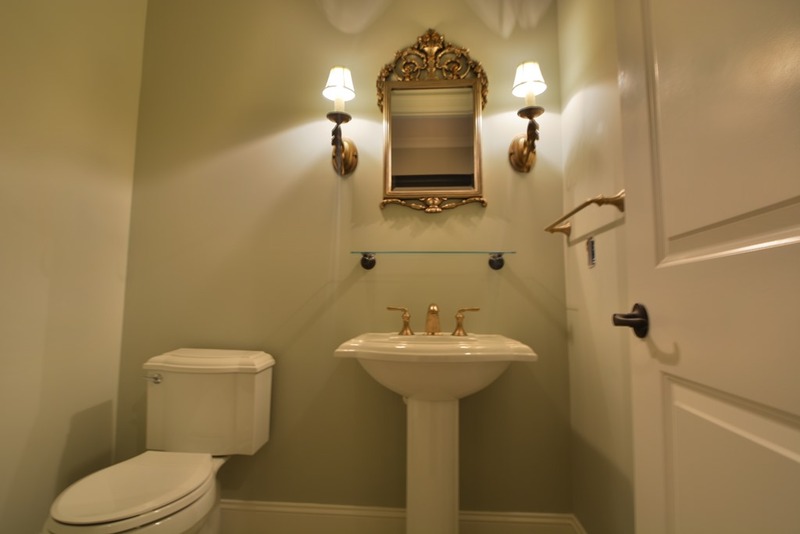 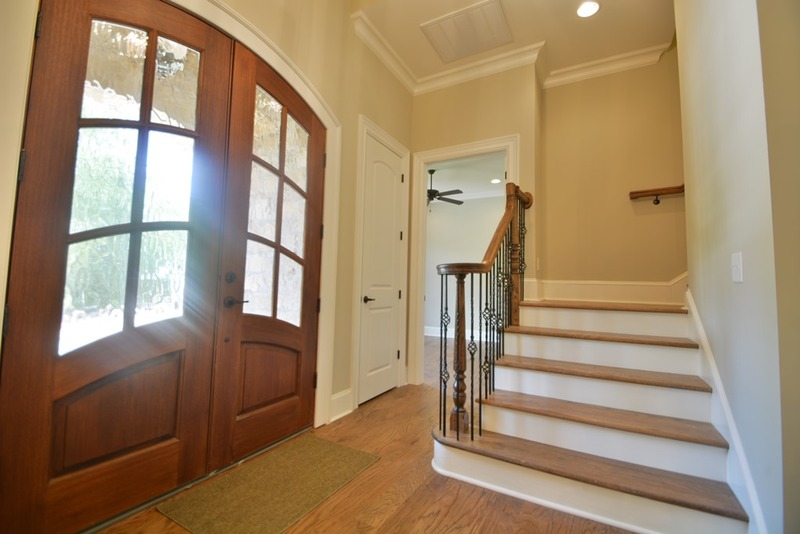 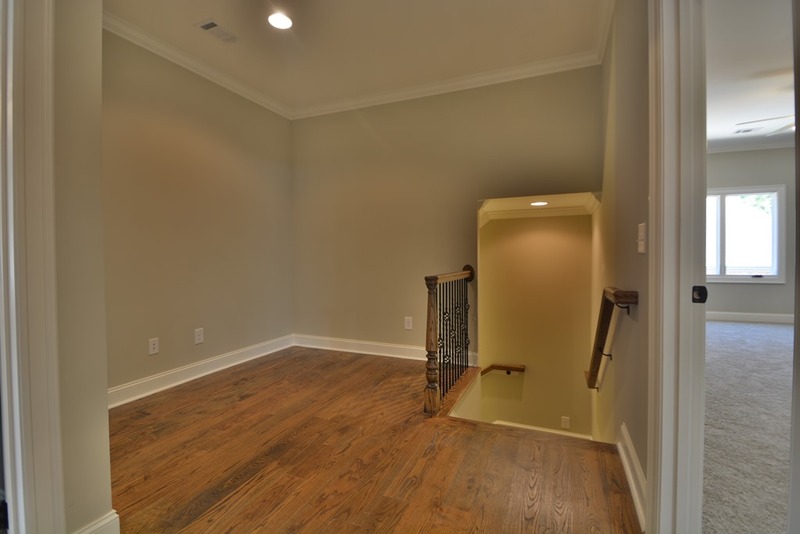 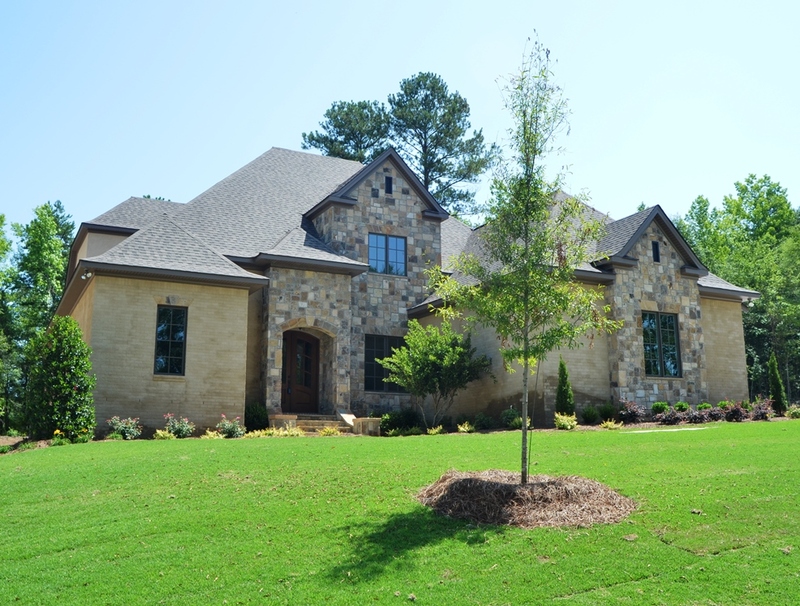 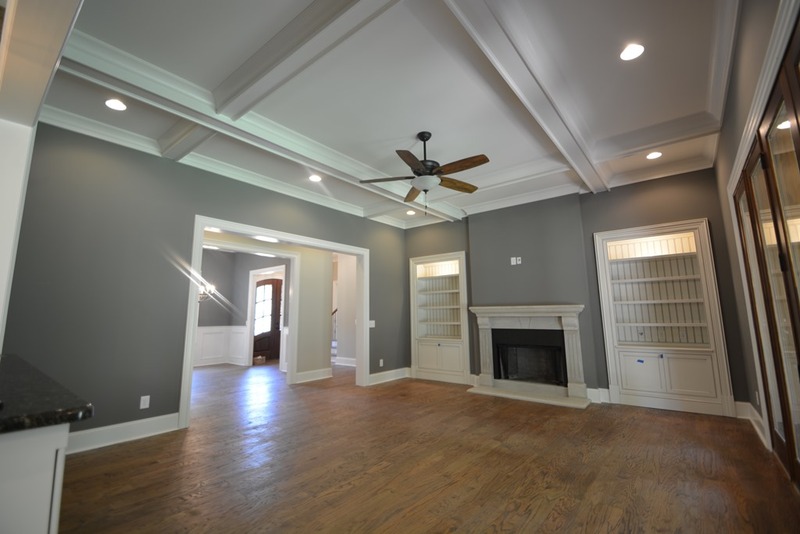 One of the recently completed homes from Acuff Construction is currently available. 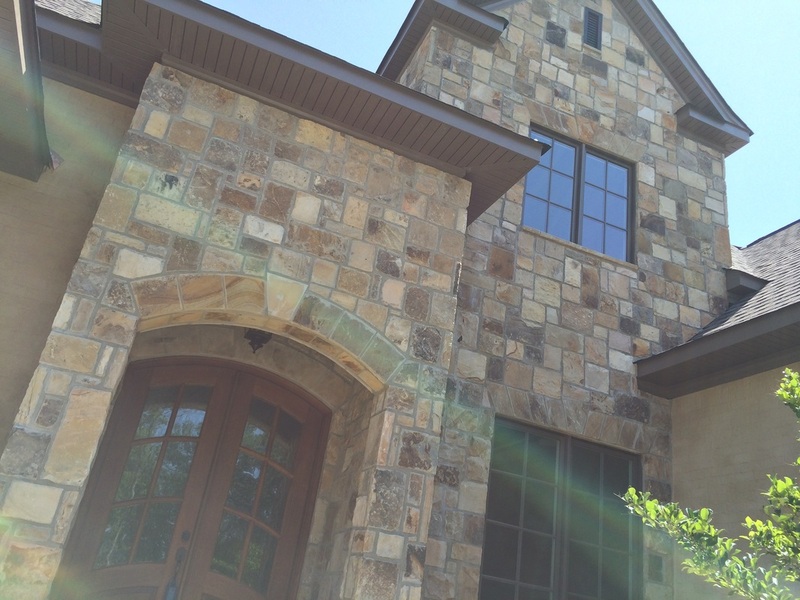 The new home is over 4,000 square feet of luxury throughout. Find out more about 1398 Falls Crest Drive at this link or contact Alex Acuff or Hap Greg for a personal tour. 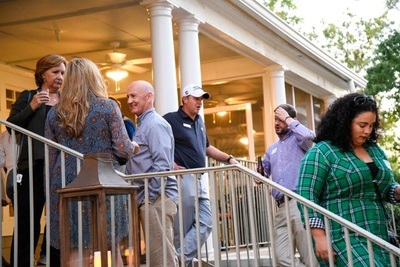 Enjoy the updated photo gallery below. 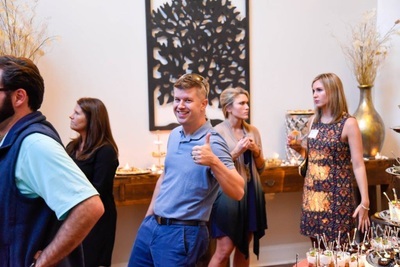 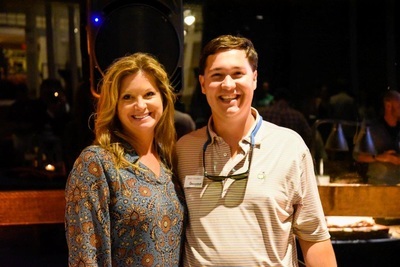 Of course, the best way to experience all that Falls Crest at Auburn University Club has to offer is to schedule a personal tour with one of our professional local real estate experts. 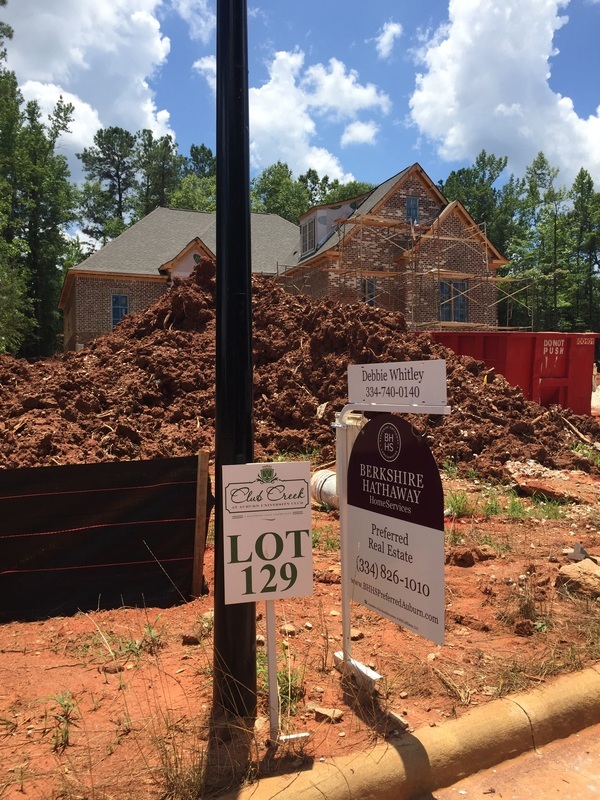 Detailed information on homes and lots for sale are available by calling the agent listed throughout the neighborhood, or simply contact Berkshire Hathaway HomeServices and ask about Falls Crest. 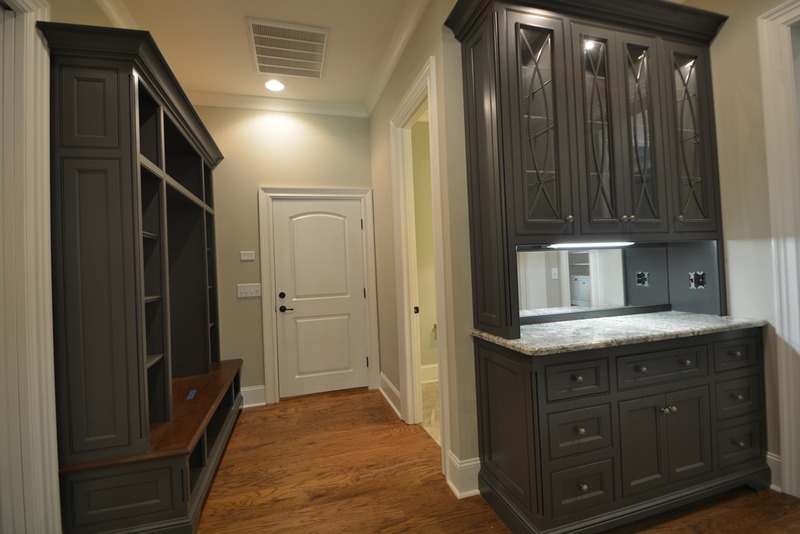 (334) 826-1010. 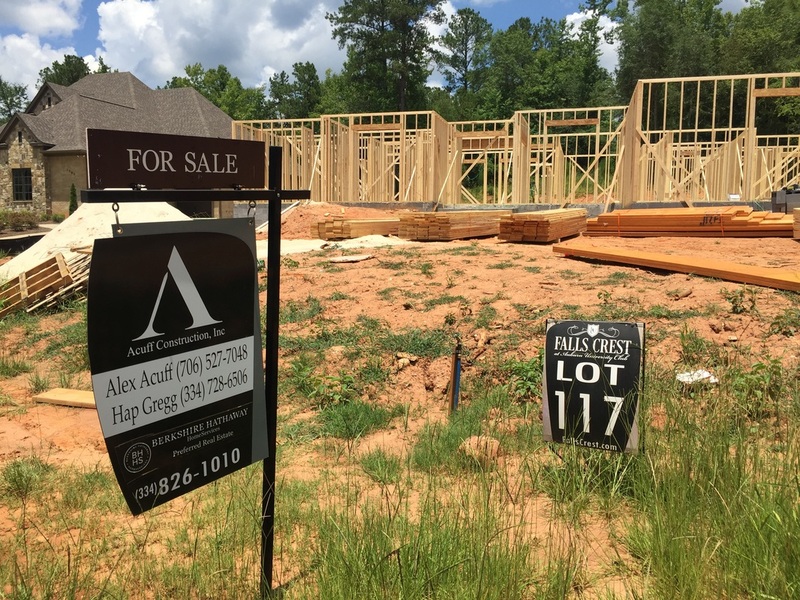 Activity in Falls Crest has been very brisk. 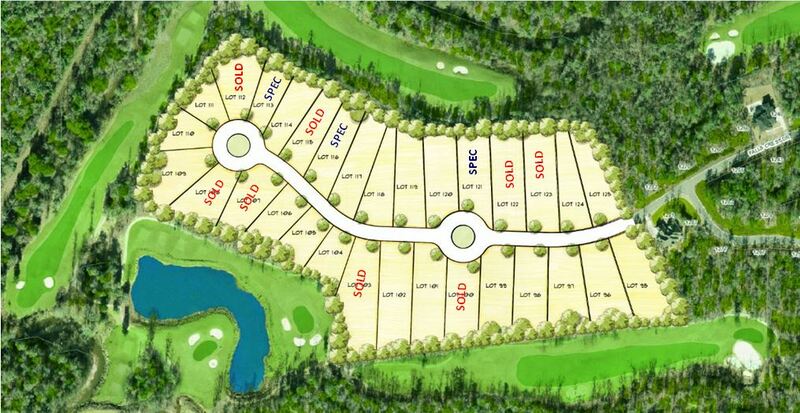 Several golf course lots have been sold and three specs are being built. 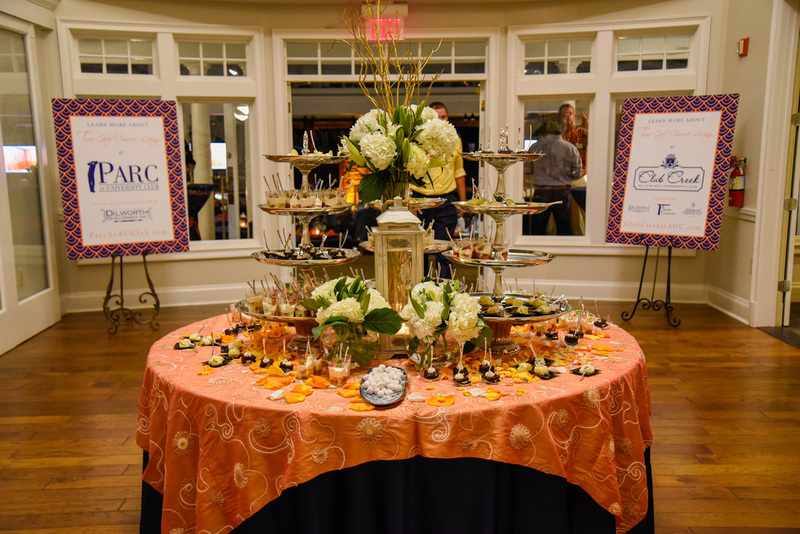 We are expecting heavy traffic for the Women's Council of REALTORS 2015 Tour of Homes that takes place the last two weekends of the month. 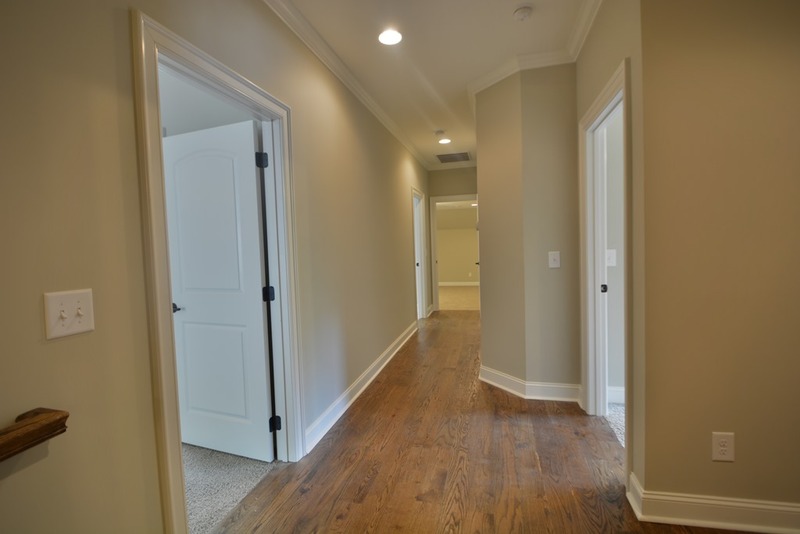 We recommend contacting one of our Falls Crest team members at (334) 826-1010 for your own personal tour. 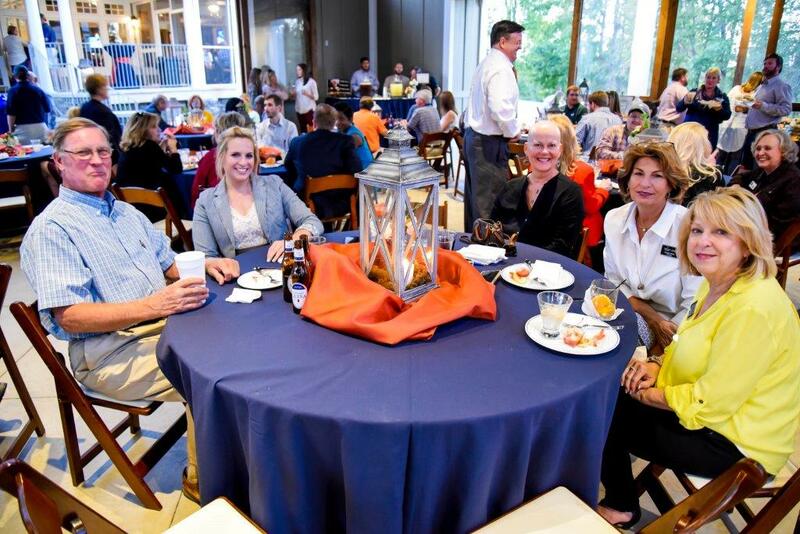 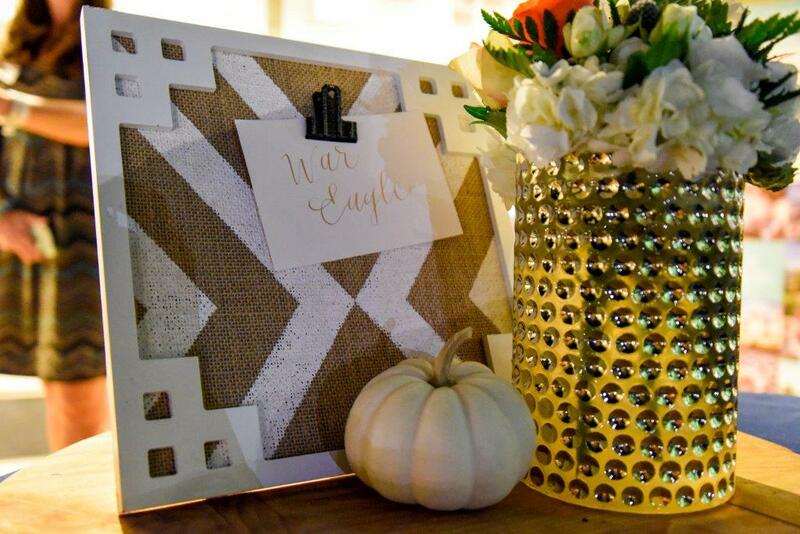 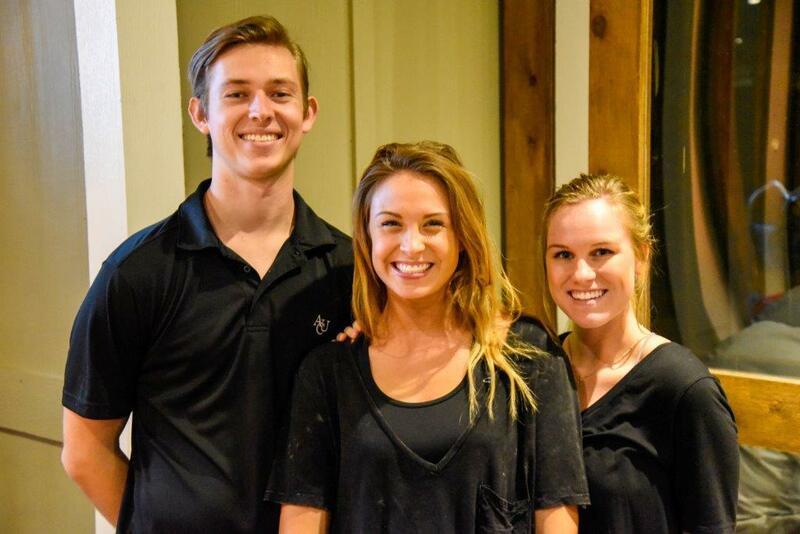 There are many new projects going on in and around The Auburn University Club. 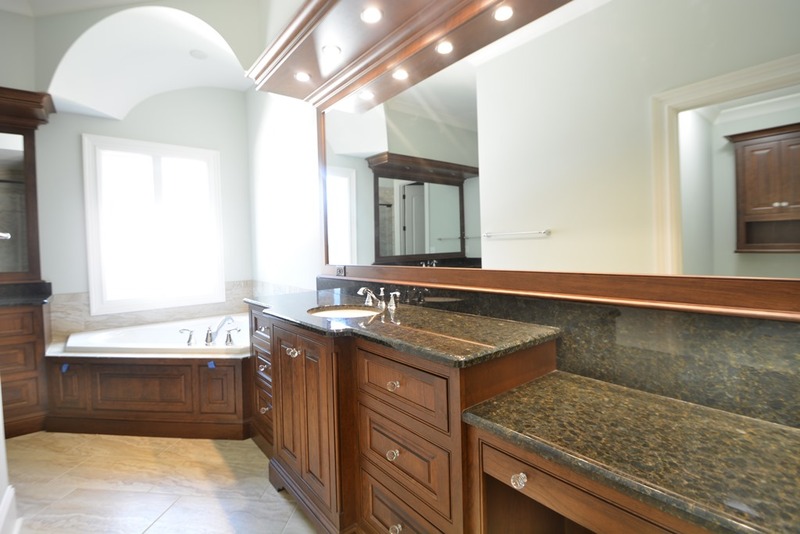 Remember that our marketing partner, Berkshire Hathawaway HomeServices, can show you any of these properties that you may be interested in. 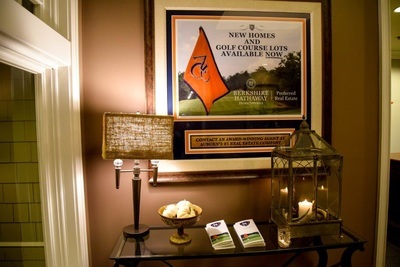 More and more new home buyers are choosing golf course living in Auburn, Alabama, and one of the premiere golf course communities in East Alabama is Falls Crest at Auburn University Club. 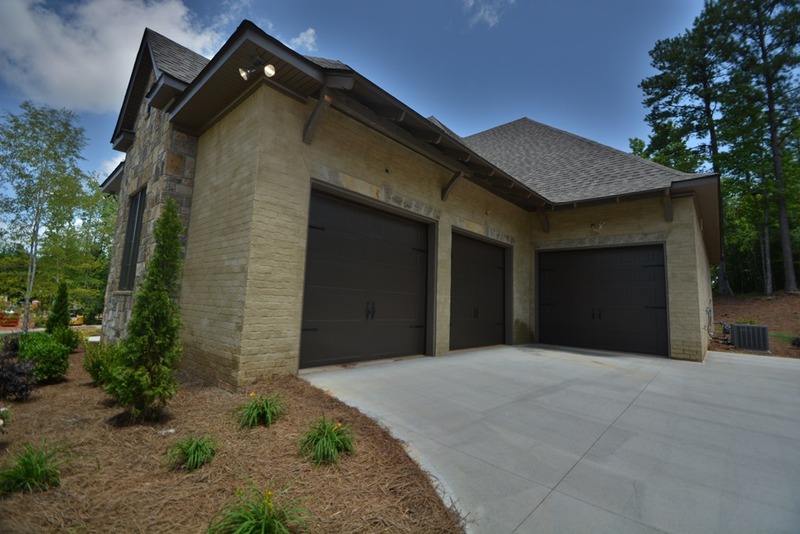 Falls Crest features four of the areas top custom home builders creating exceptionally livable spaces with all of the amenities that golf course living has to offer. In fact, every homesite in Falls Crest backs up to the championship golf course that is home to the Auburn University Men's and Women's golf teams. 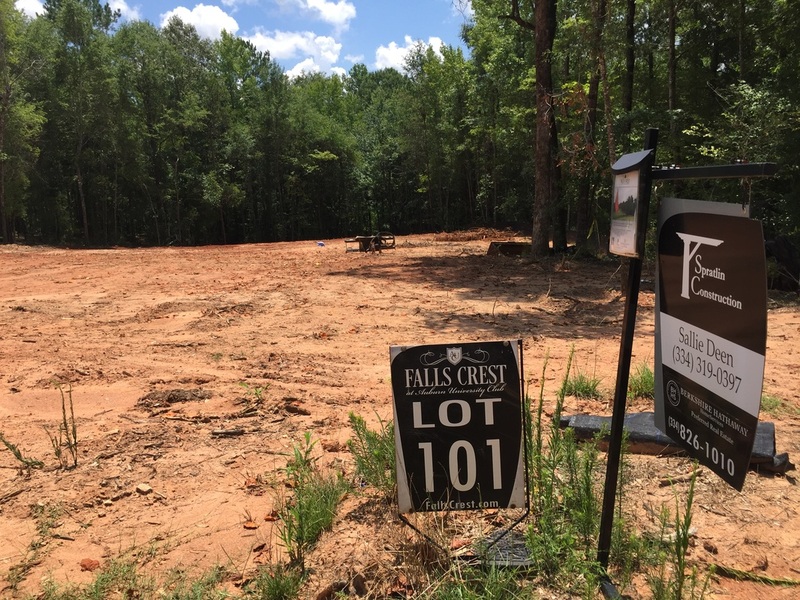 Several new homes are close to completion in Falls Crest and the award-winning builders have started construction on several new lots. 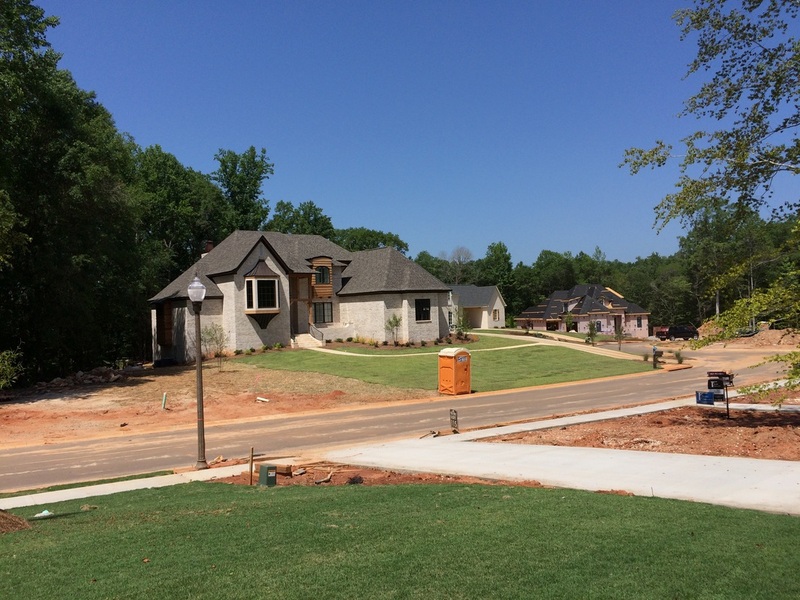 Below are some visual updates from the neighborhood. 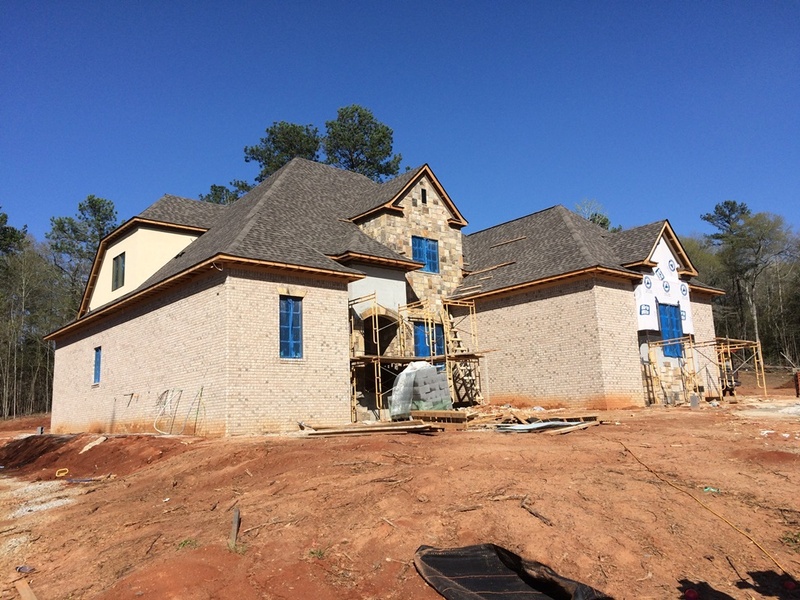 This new home from Landmark Properties is almost ready for move-in. 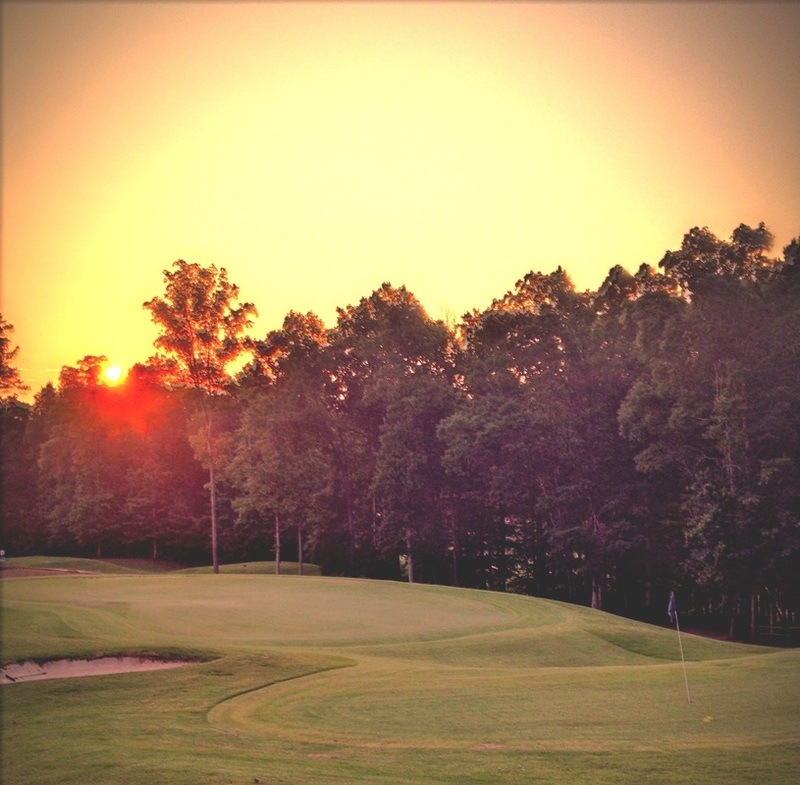 And your backyard runs right along our championship golf course. 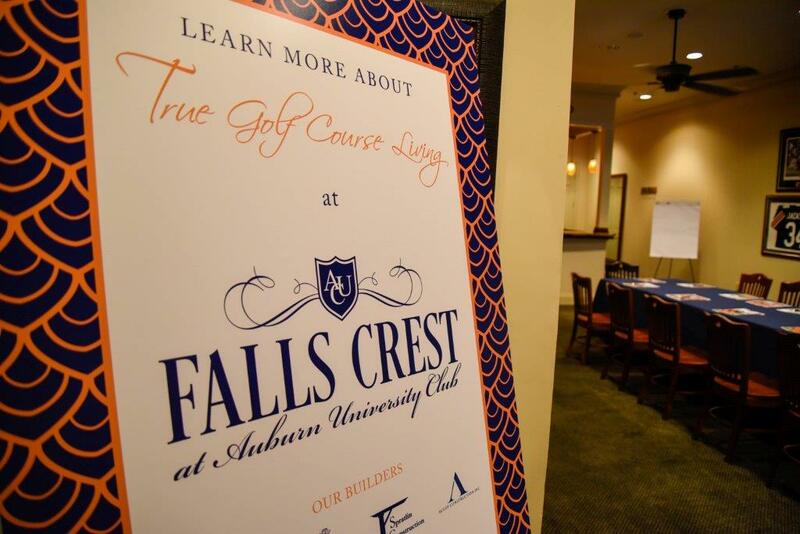 Here are some additional photos of the construction progress in Falls Crest at Auburn University Club. 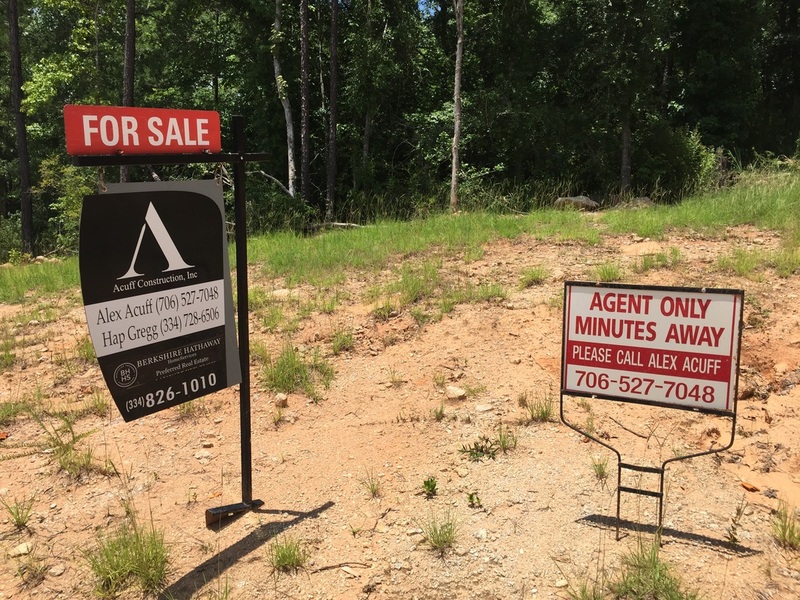 We highly suggest you drive through and see all of the new activity. 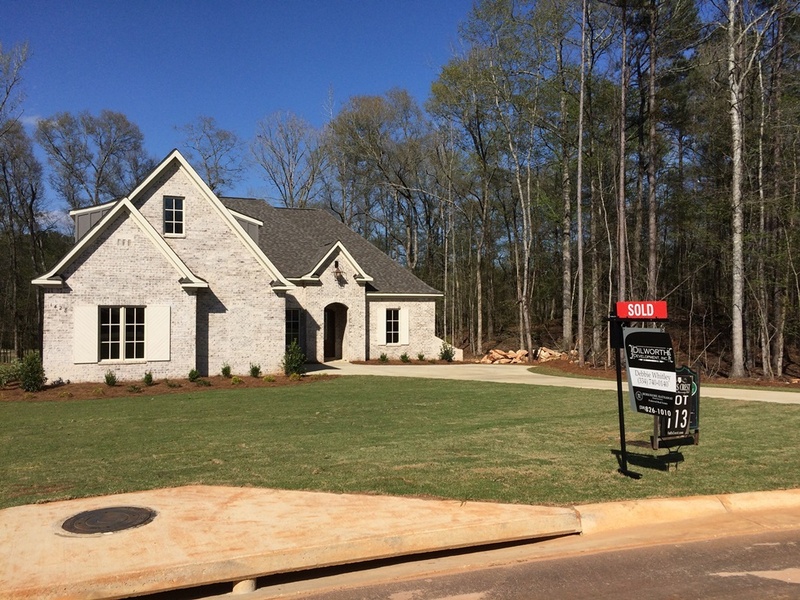 This new home below has already been sold, but one of our award-winning custom builders can start a new one for YOU! 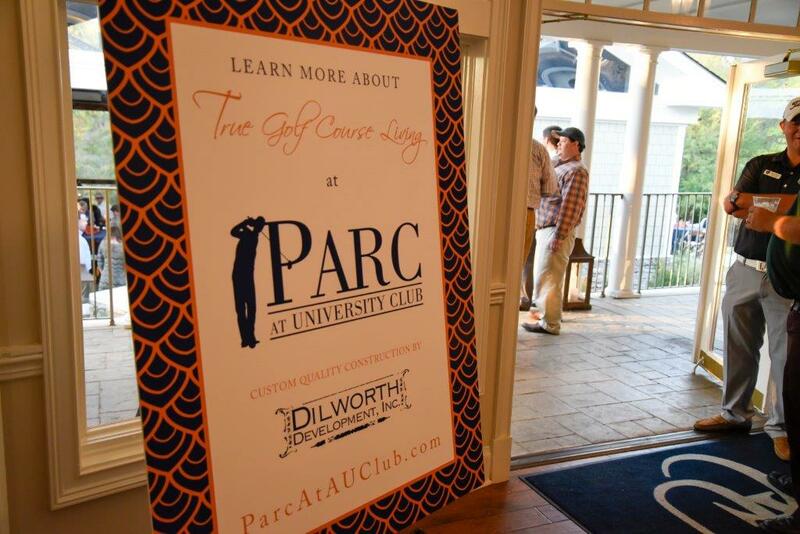 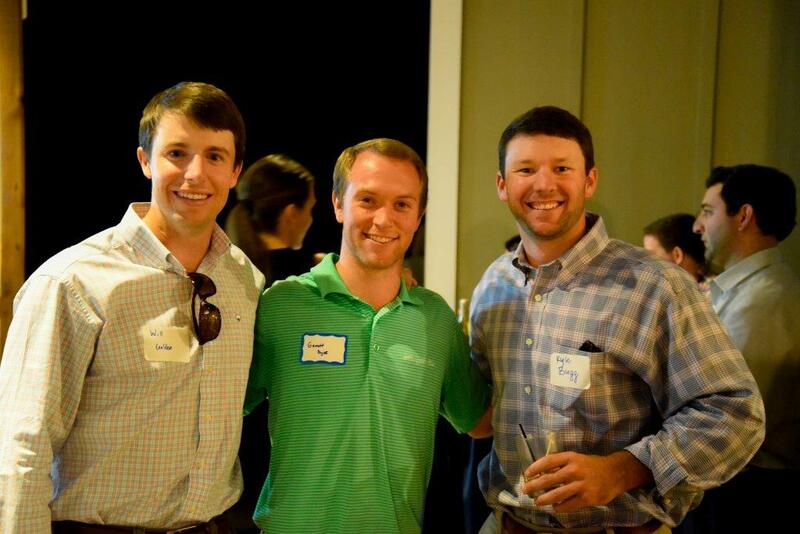 Interested in something else in or around the Auburn University Club? 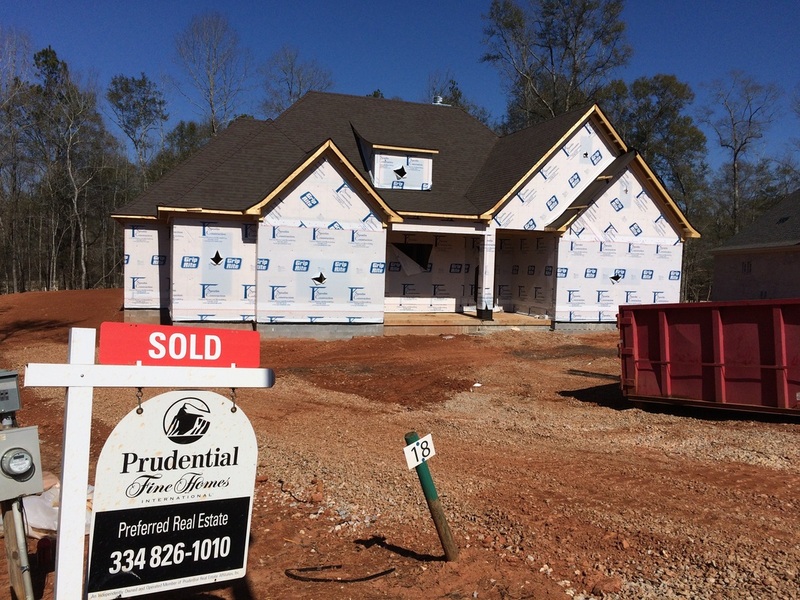 We can help you with any of the new home neighborhoods currently under construction. 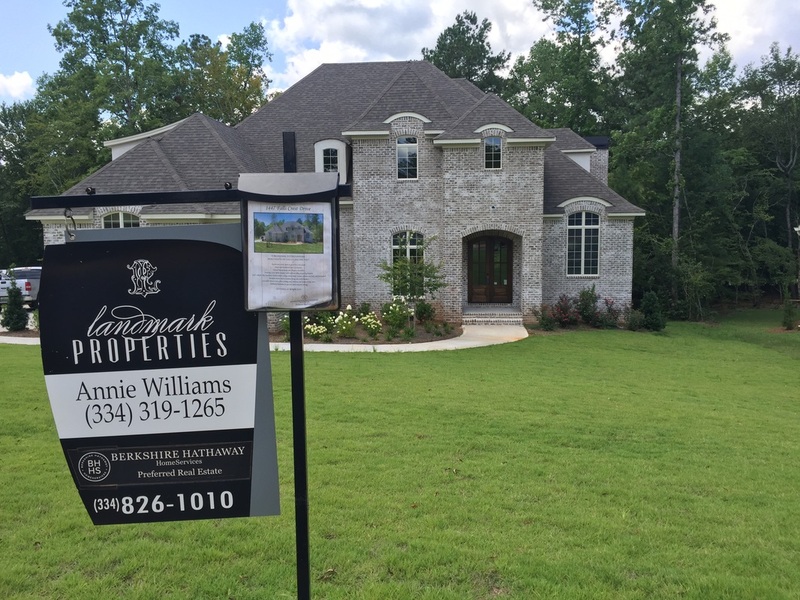 Contact the offices of Berkshire Hathaway HomeServices (formerly Prudential Preferred Real Estate) at (334) 826-1010. 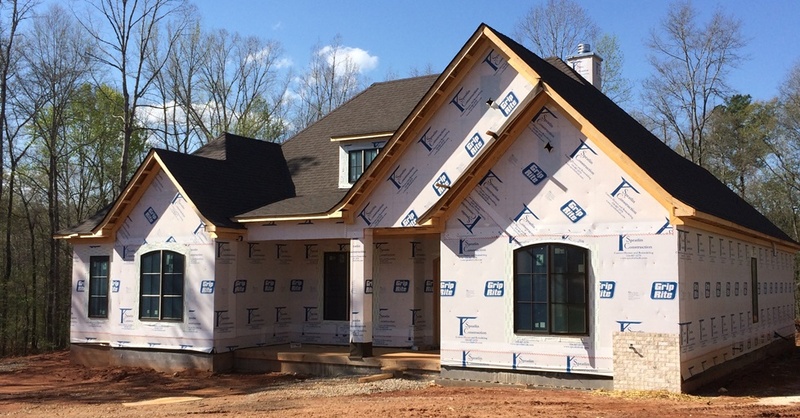 See Our Updated Site Plan PLUS New Home Construction Updates! 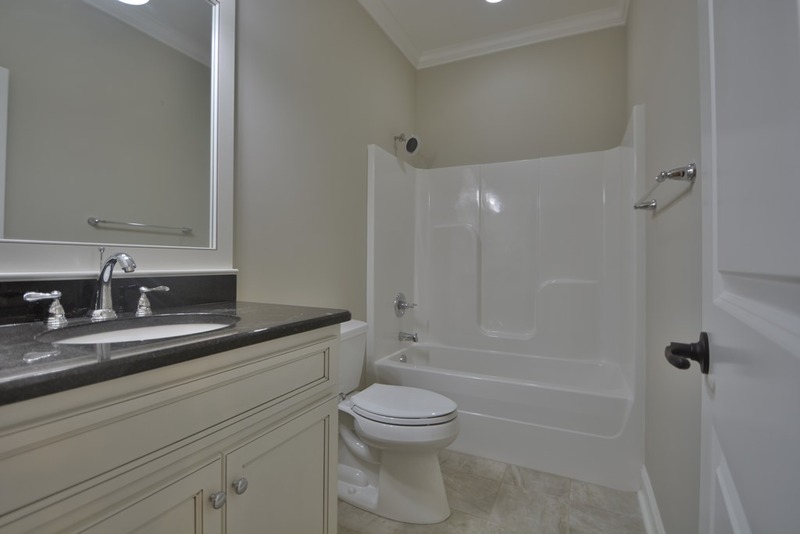 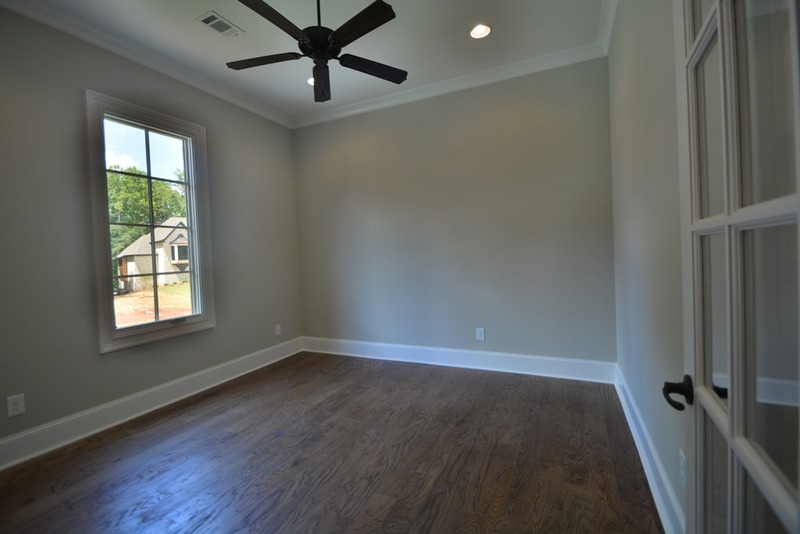 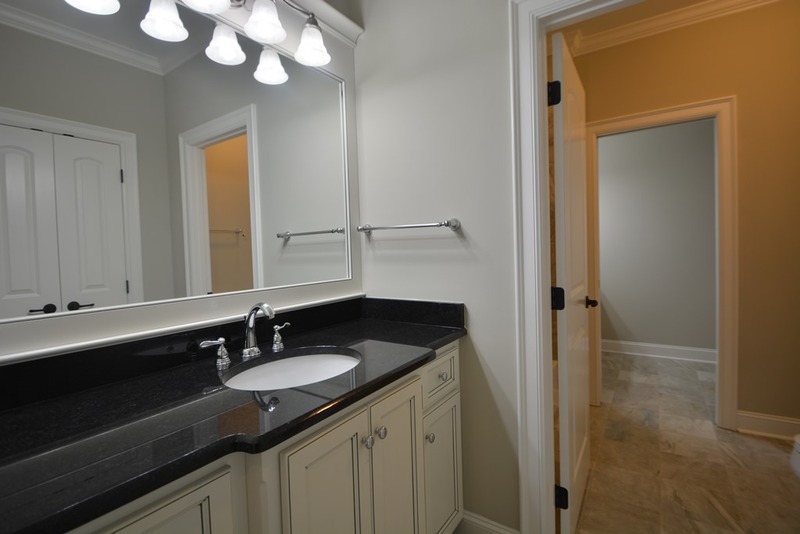 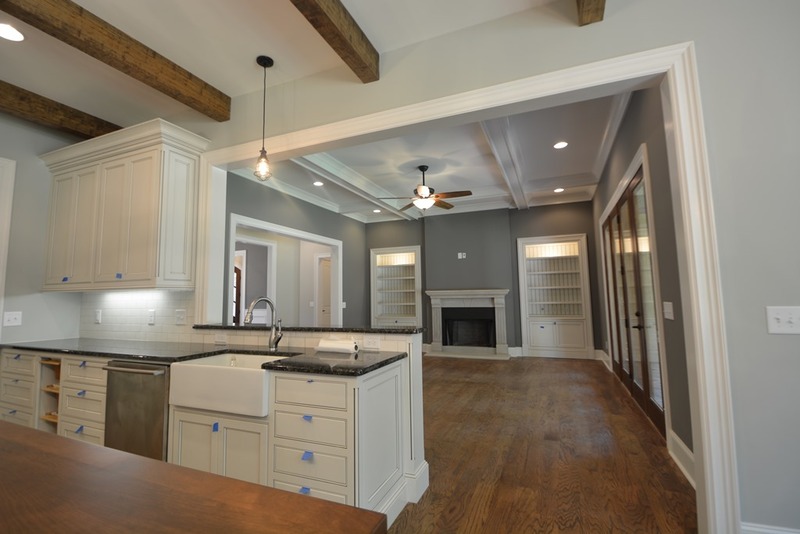 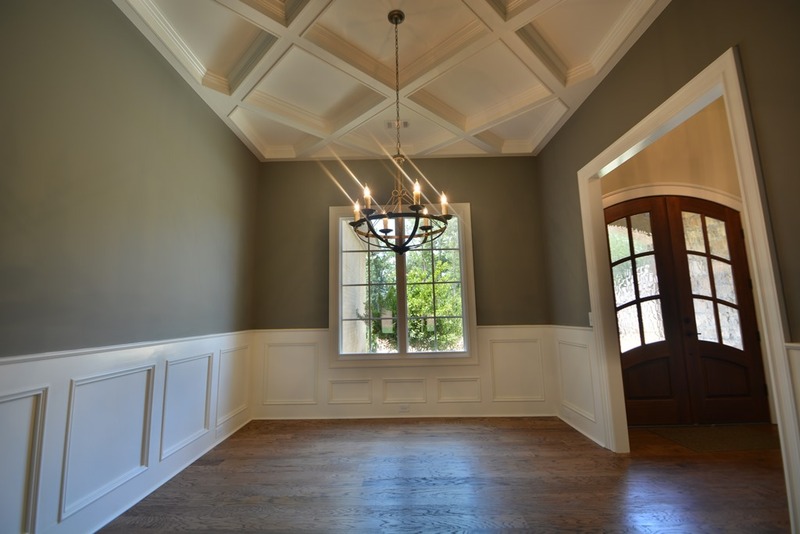 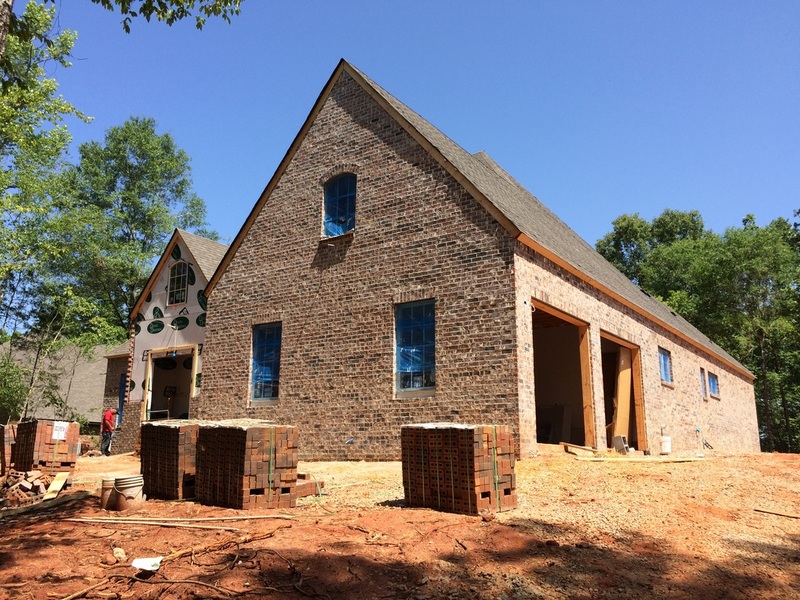 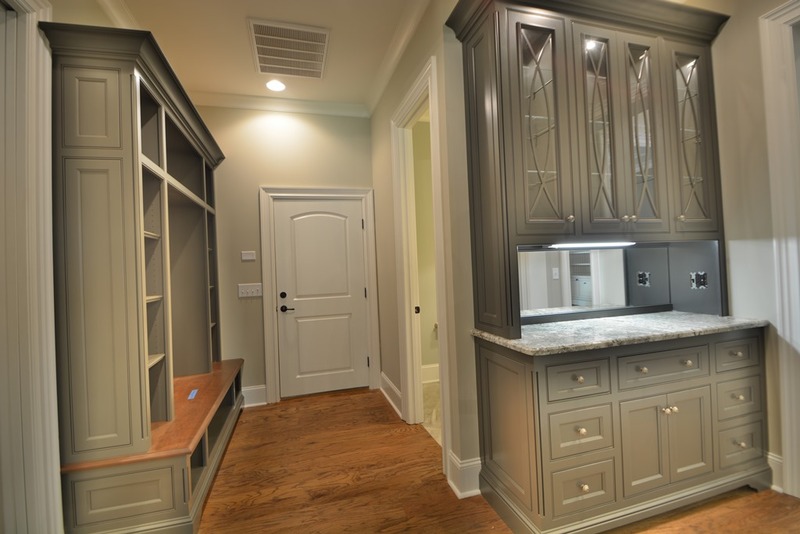 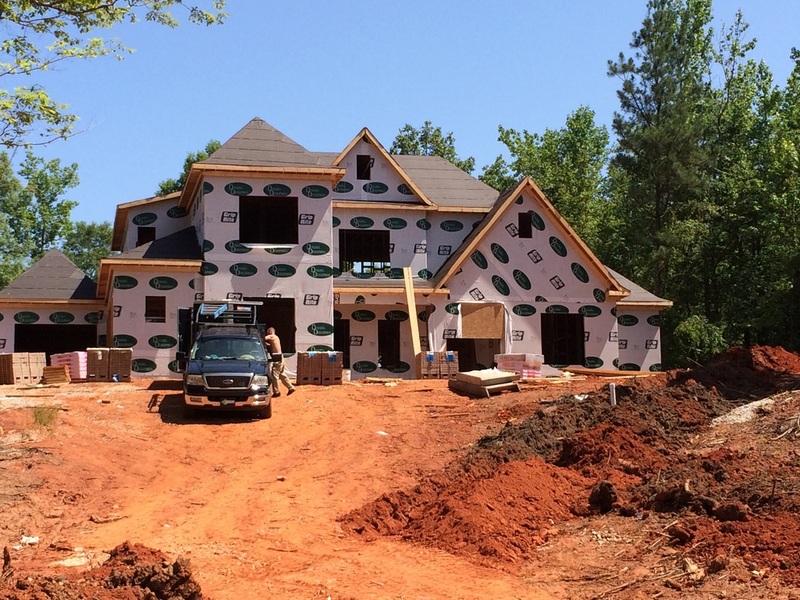 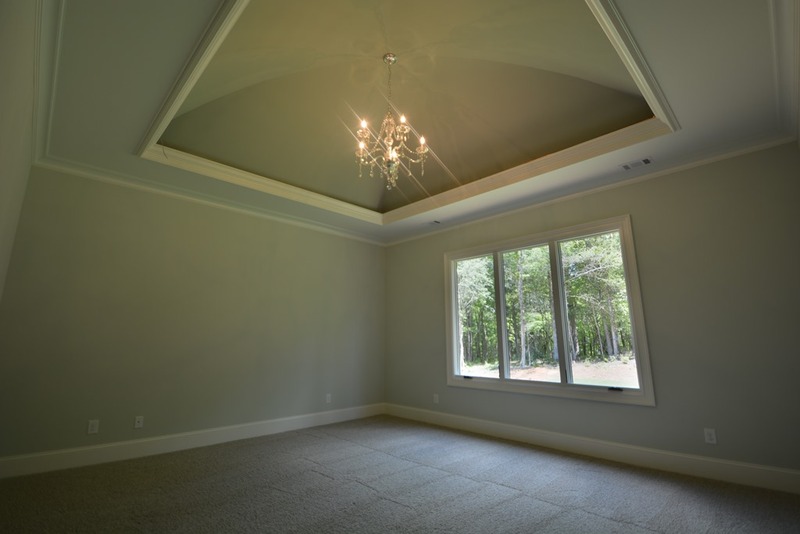 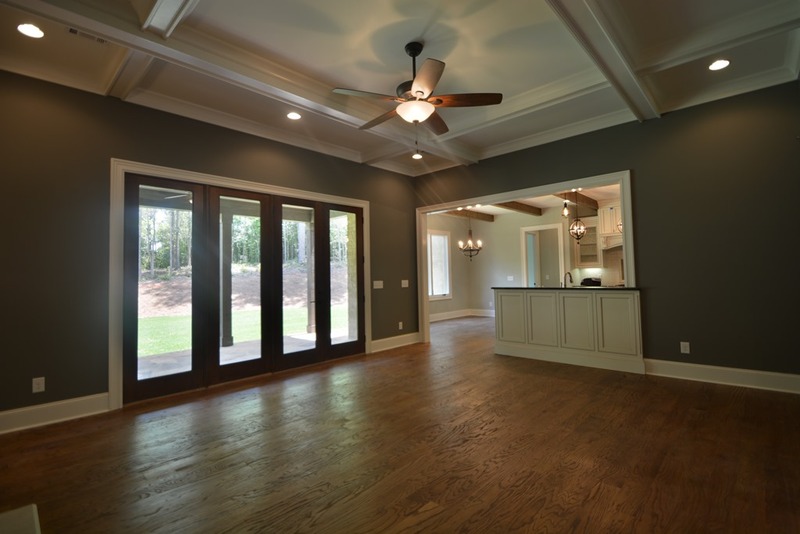 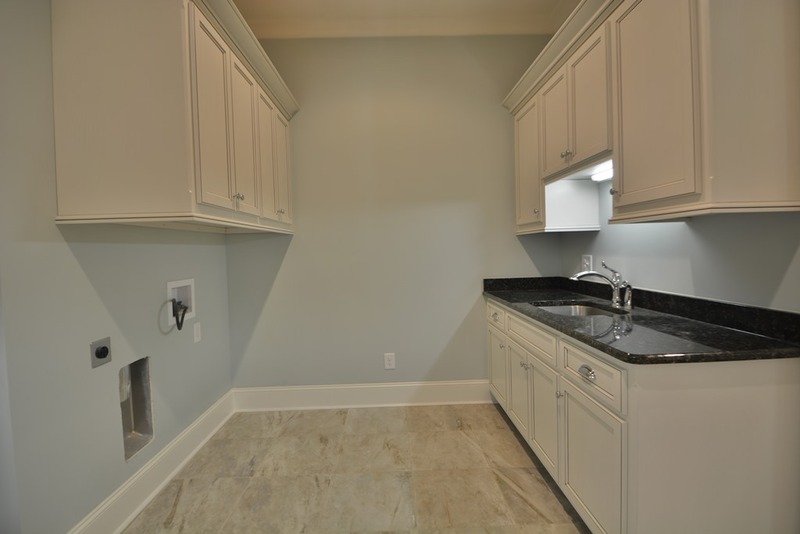 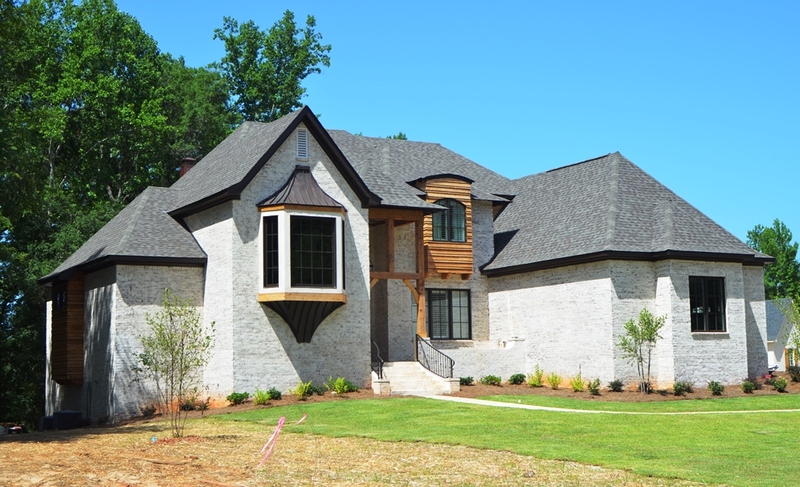 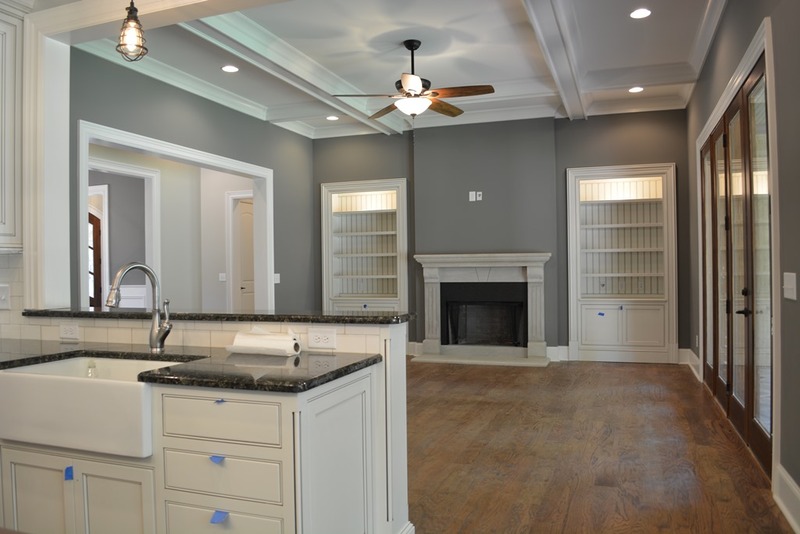 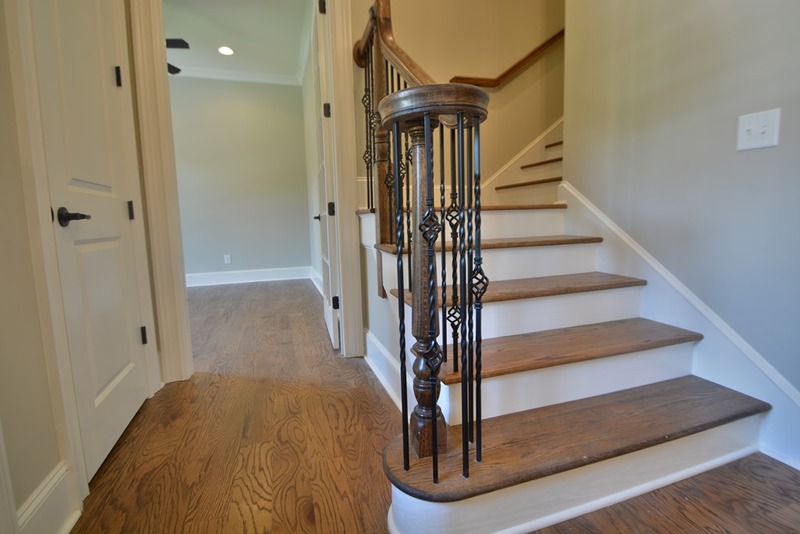 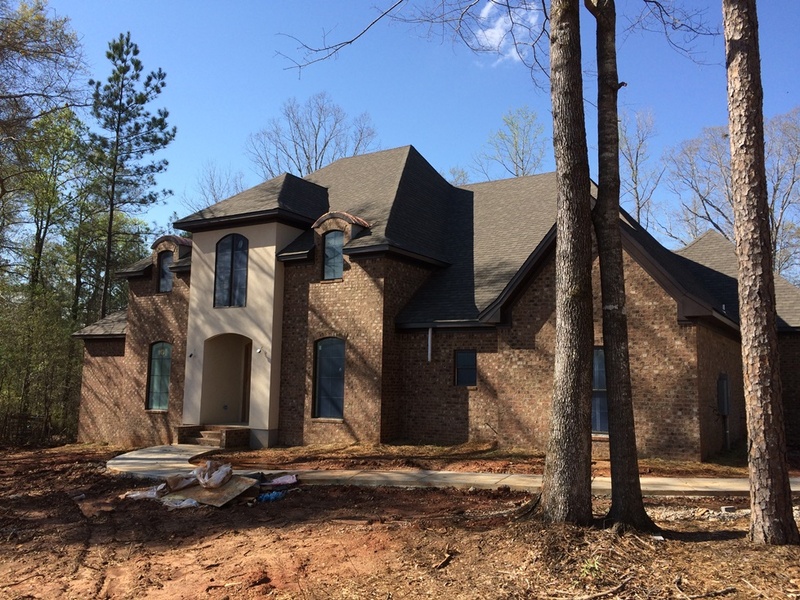 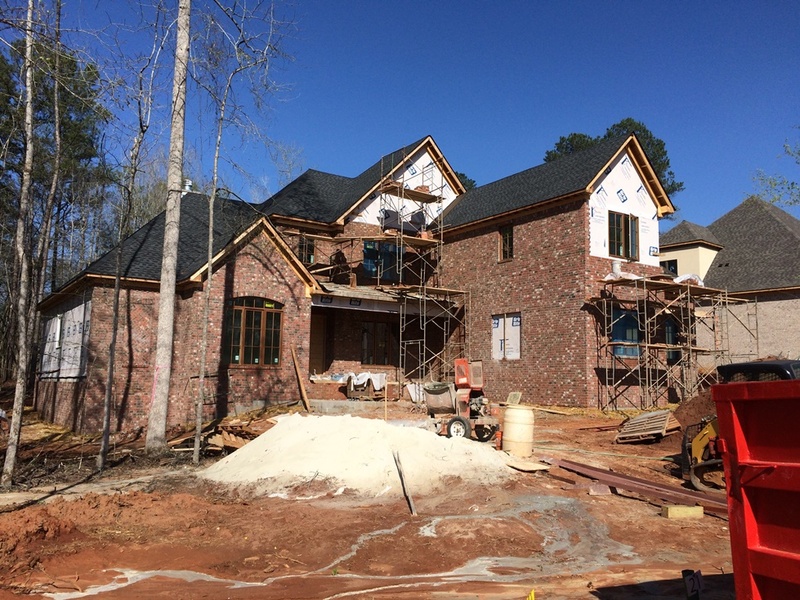 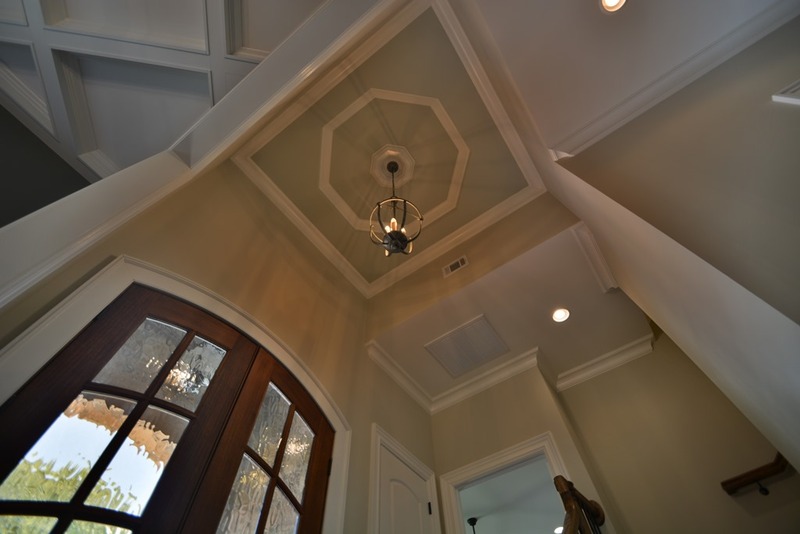 Our award-winning custom home builders have been busy in Falls Crest at Auburn University Club recently. 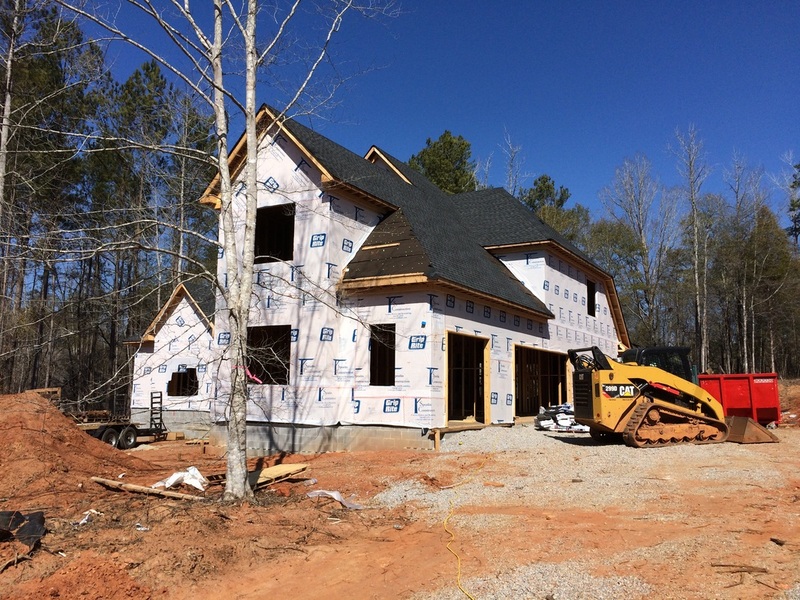 Several new homes are drawing closer to completion and new construction has begun on several lots. 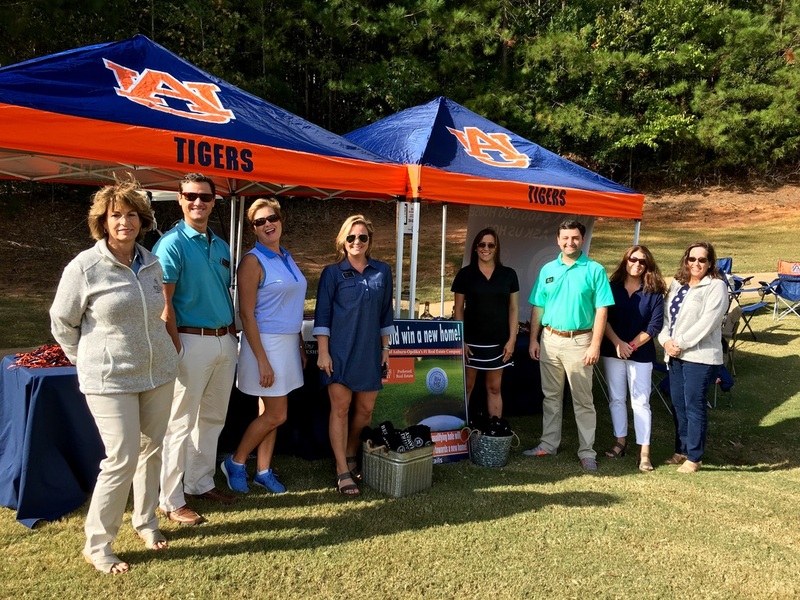 For buyers interested in true golf course living we highly recommend contacting one of our professional full-time agents for a tour of the neighborhood, available homes and popular amenities at Auburn University Club. 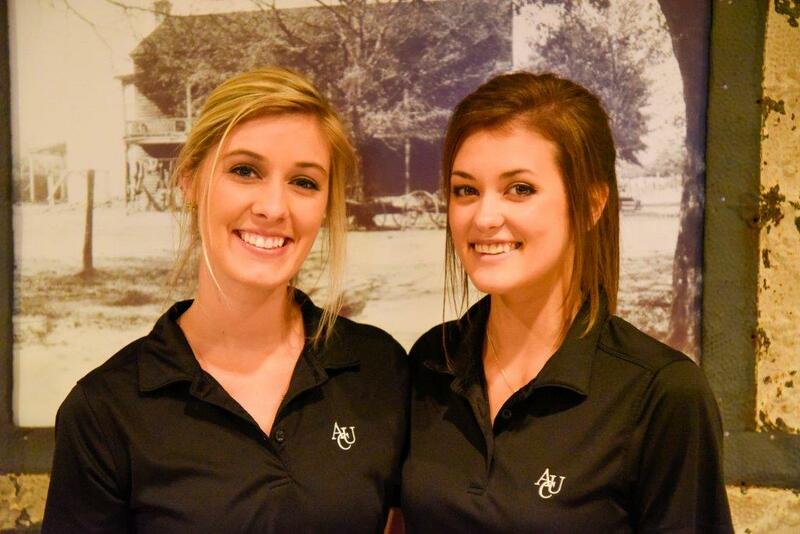 Get news and updates from Auburn's exceptional golf club neighborhood.